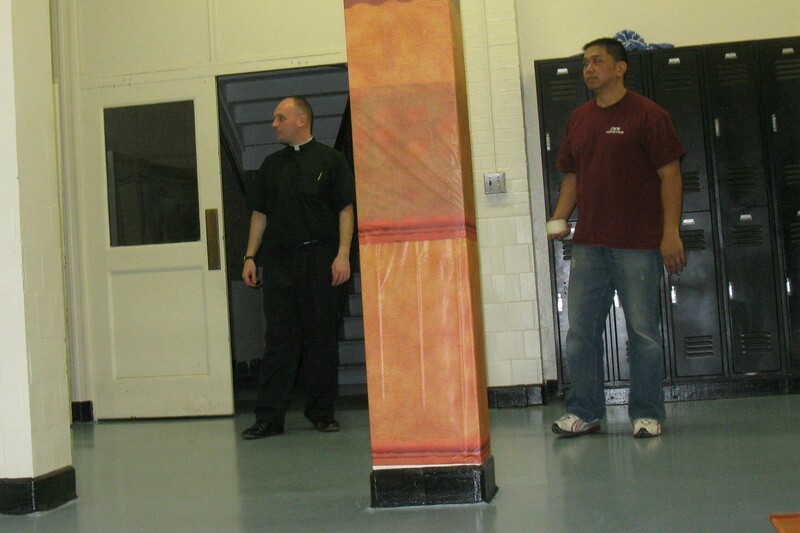 When I walked out of the Bishop Joseph Maguire Pastoral Center at 65 Elliot Street the other day, I was hit in the nose. It was a good hit. 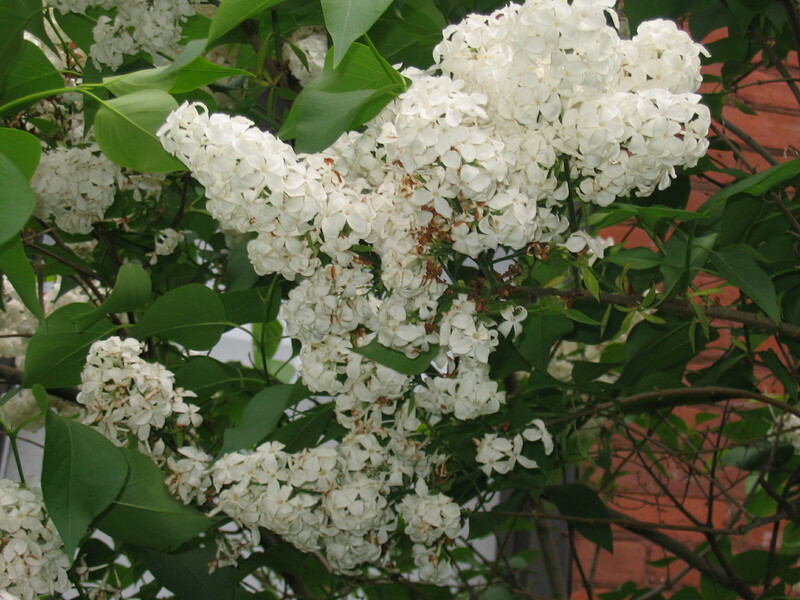 I was attacked with the scent of lilacs. A nearby bush sent forth a delightful aroma. This smell made me smile and think of Spring. 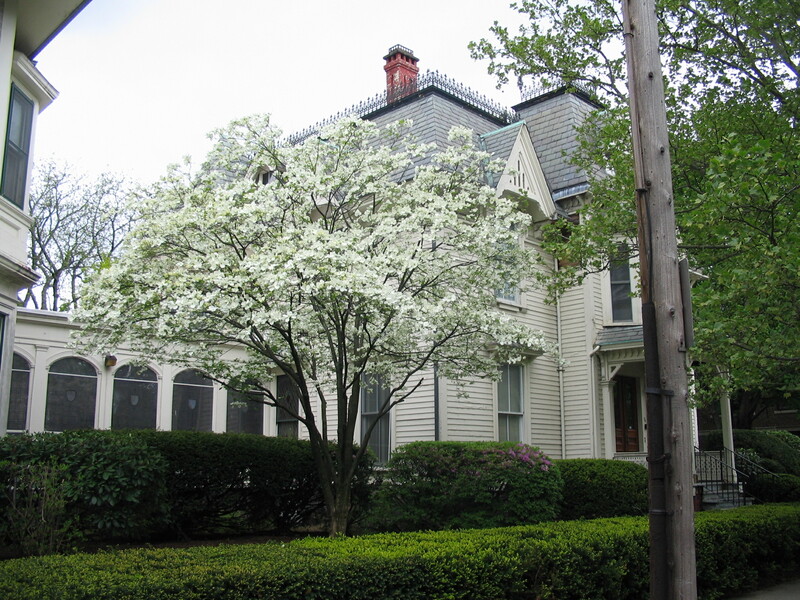 But it also made me think of the lilac bush that was in my backyard where I grew up on Alderman Street in Springfield. And it reminded me of how I loved when those flowers bloomed and I could rush into school and give them to my teacher to place before the May shrine that always stood in the corner of my classroom. I hoped that no one else brought in flowers that day. 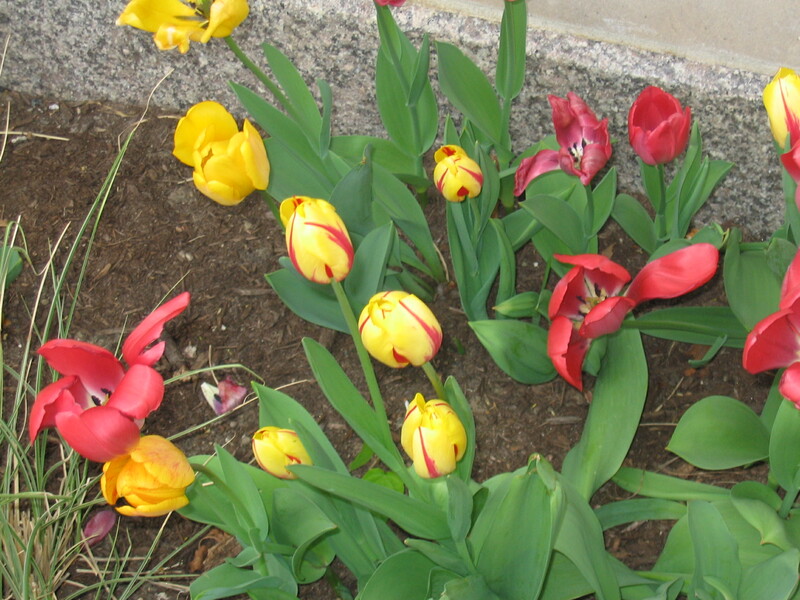 Often my teachers favored tulips over lilacs. 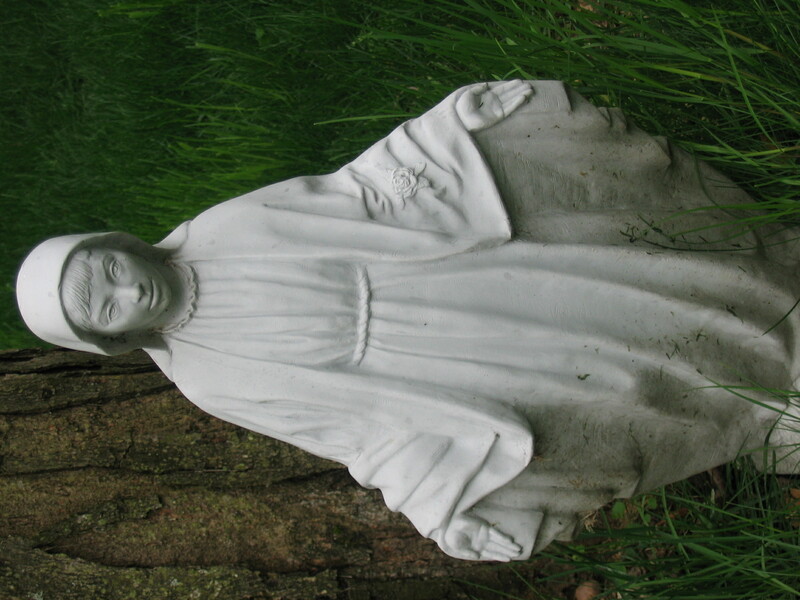 Since those days, long ago, I have loved May shrines, May crownings, and images of Mary. 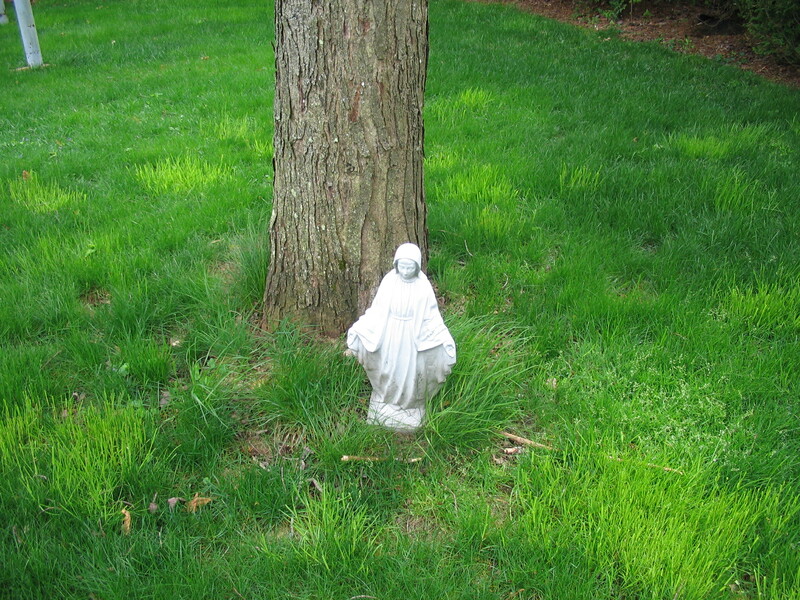 Our family even gave Mary a spot in our yard. Sometimes when I pull in the driveway, I will look her way and say hello. Other times I say a prayer. Our family also set up a May shrine in the corner of our kitchen one year. It began with an old statue from my childhood. As you can see, this statue has been broken and glued back together. She is dinged up, but we love her. 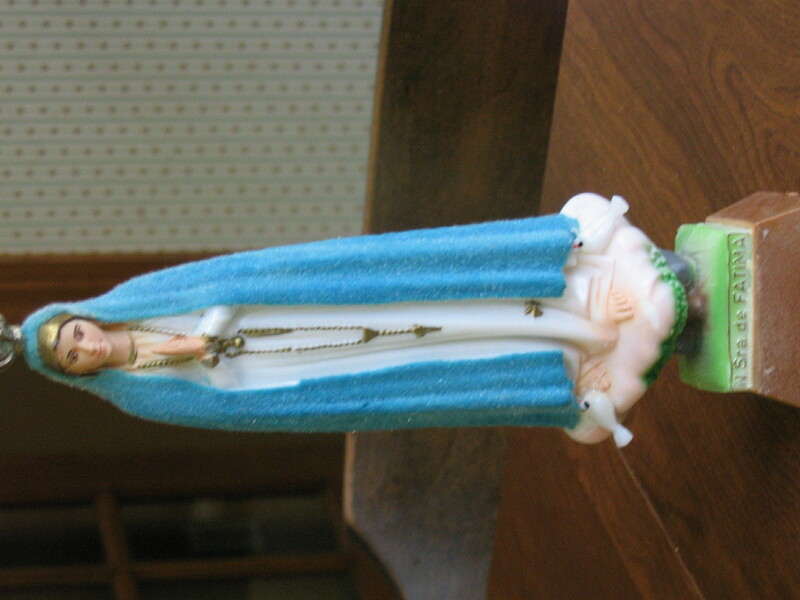 We moved this statue to our counter to join the other Marian images that we have collected over the year. We leave the statues and pictures up all year. 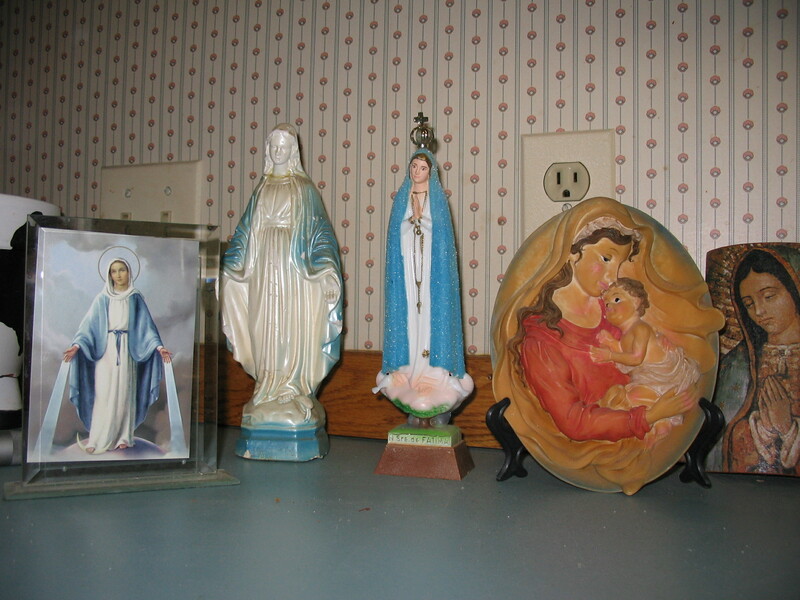 Kitchen Design magazines might not feature this look but I like having the Blessed Mother watching over us as we cook and eat and hang out. 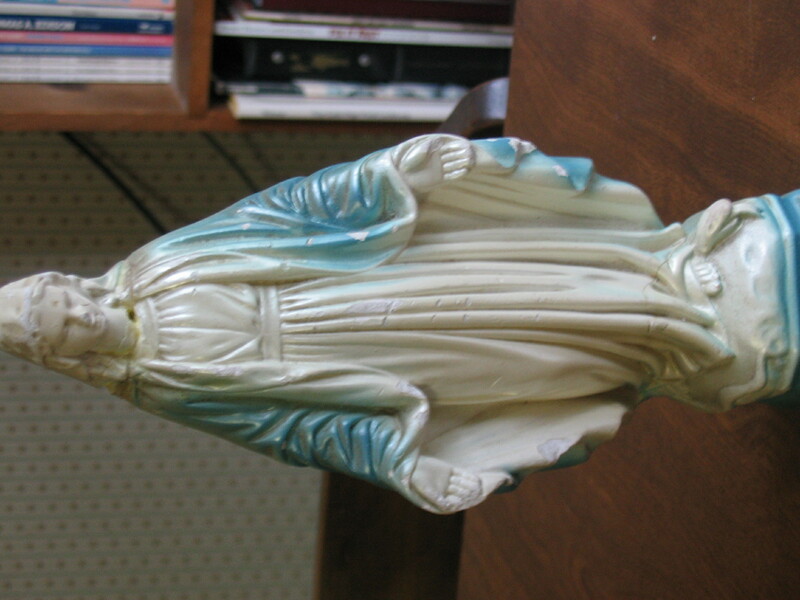 Along with our oldest statue of Mary, we have some other sentimental images. 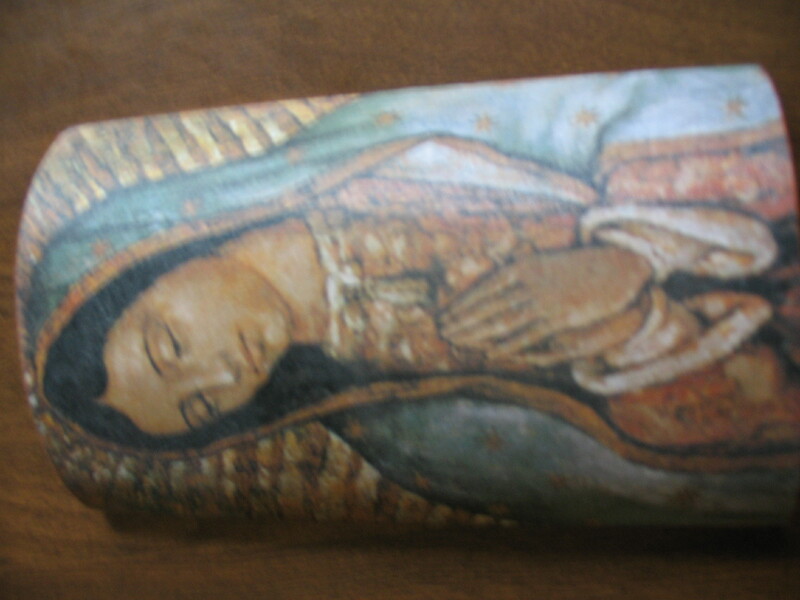 One is a tile that my daughter, Kerry, got for me when she went to the shrine of Our Lady of Guadalupe in Mexico. Another dear image came from Poland. Our son, Matthew, taught English there one summer and his host family sent it to us. It changes colors with the weather. 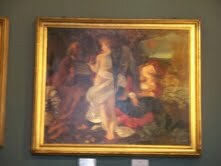 We also have an image of Mary and Baby Jesus that was given to us by a dear priest friend. 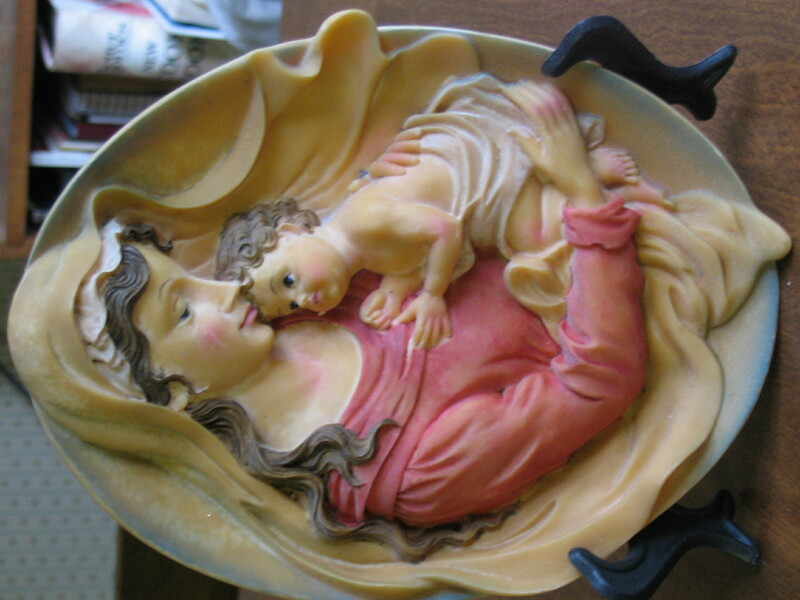 I love this one because of that special love between the Blessed Mother and her son. And the picture image was given to me by some students at St. Mary’s School in Ware. 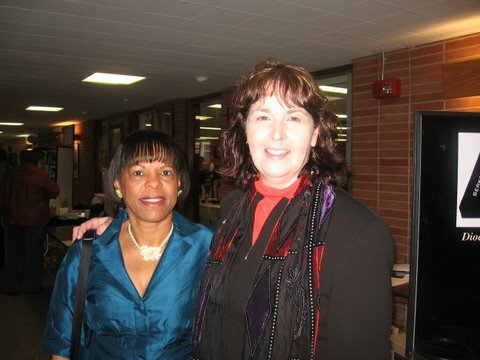 I talked to them about journalism one morning and they gave me this nice image. Now Sister Mary Clare presented the gift to me. She is a longtime Yankees fan and we have a good time kidding each other about our loyalties to our teams. I think I will tell her that this image is now Our Lady of the Sox!!! 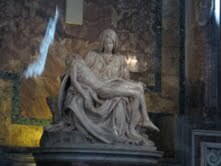 The more I thought about May shrines and Marian images the more I recalled so many great places. 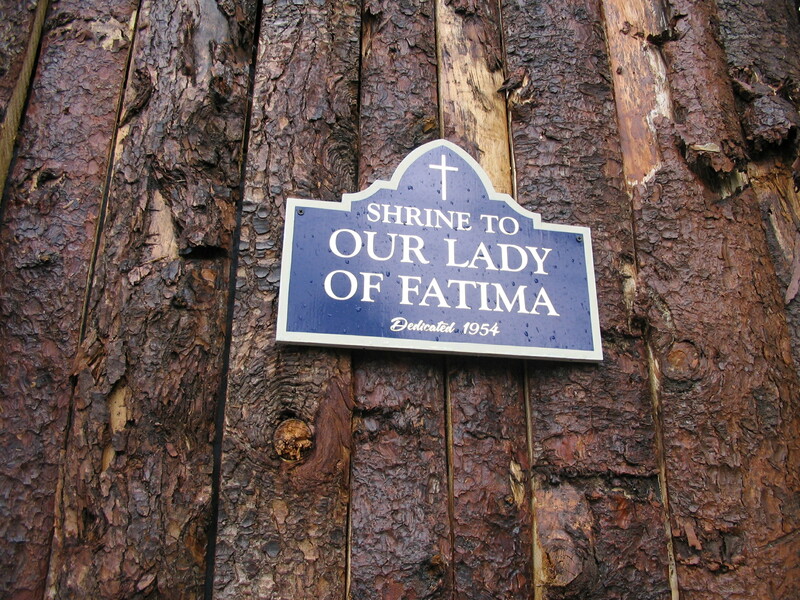 I have never been to Lourdes or Fatima or Guadalupe or Knock. 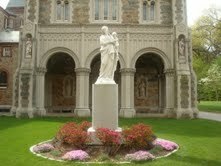 However, my good-natured husband, John, and I just drove around our home and on our way to get a burger we snapped this shot of the lovely Marian Shrine at St. Mary’s in Hampden. 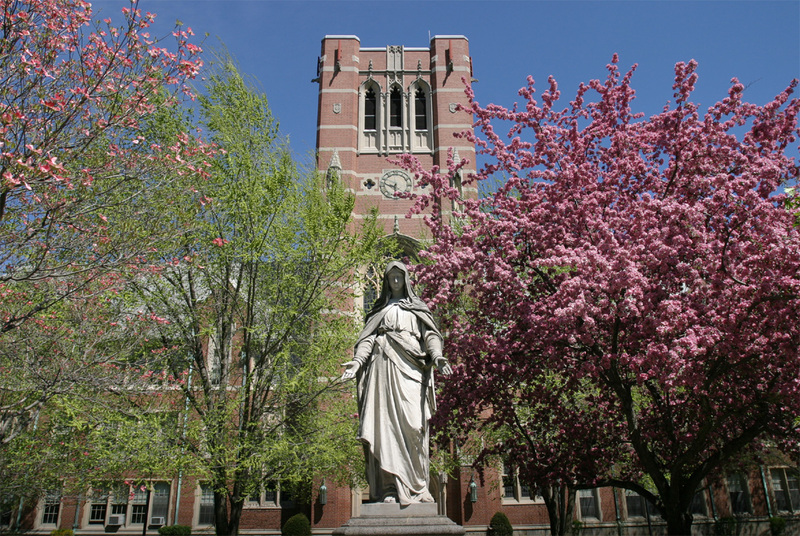 So e-mail a photo of your favorite Marian spot and we will post it. 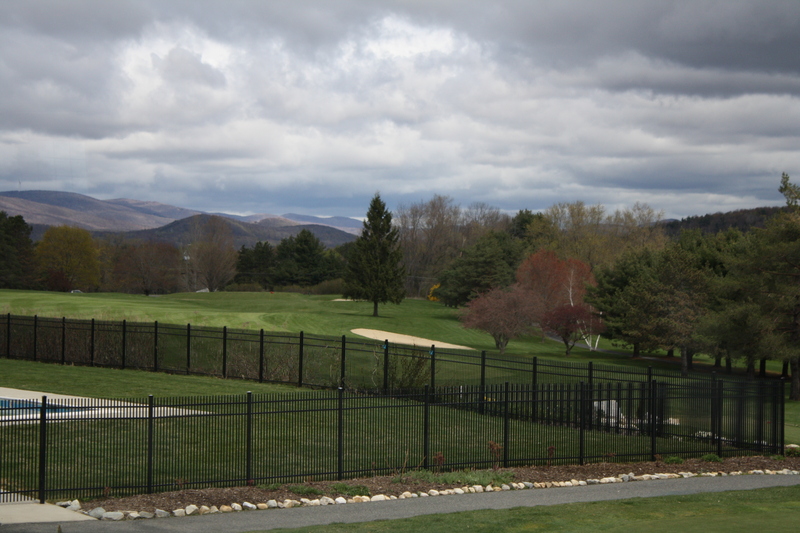 It could be your backyard or classroom or church. E-mail all photos and thoughts to wmasscatholicvoices@gmail.com. 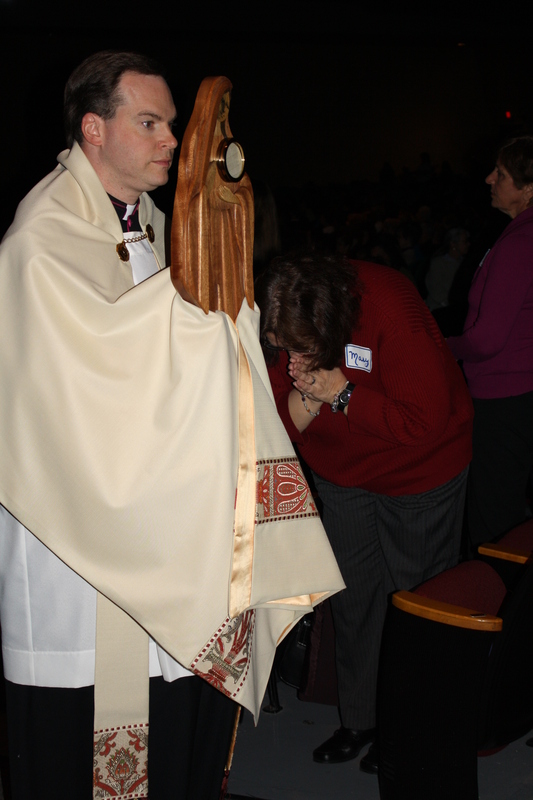 Father James Longe of St. Mary Parish in Westfield sent in his favorite image. 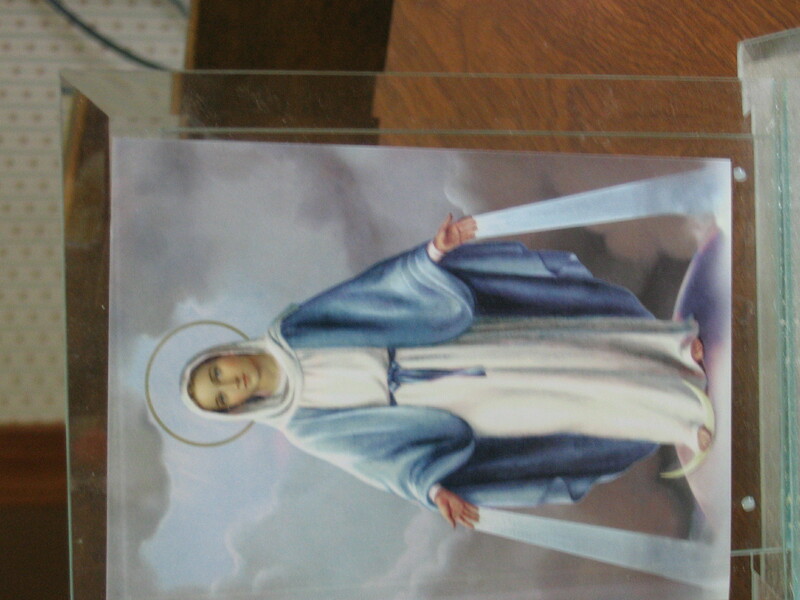 ANOTHER GREAT MARIAN IMAGE WAS SENT TO US FROM THE ELMS COLLEGE IN CHICOPEE. 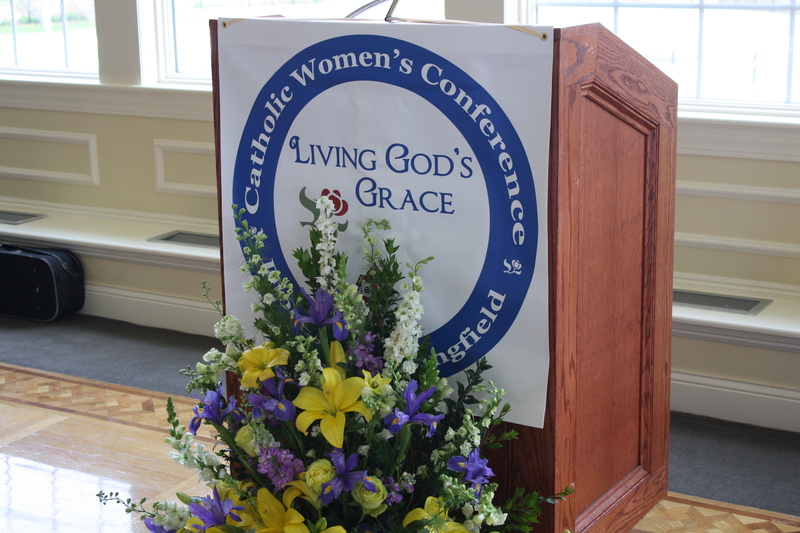 Enjoy this blog about the Catholic Women’s Conference and then scroll down to read about the Brunch in the Berkshires! A special thanks to Jessica Hill’s sister, Angela Hill, who took all of these beautiful photos. 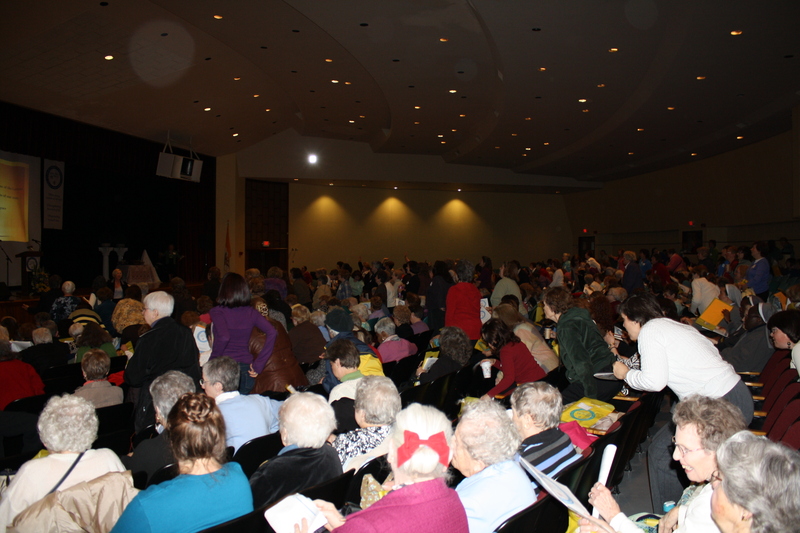 The Cathedral High School auditorium in Springfield was a joyful place as more than 700 women gathered for the 3rd annual Catholic Women’s Conference. 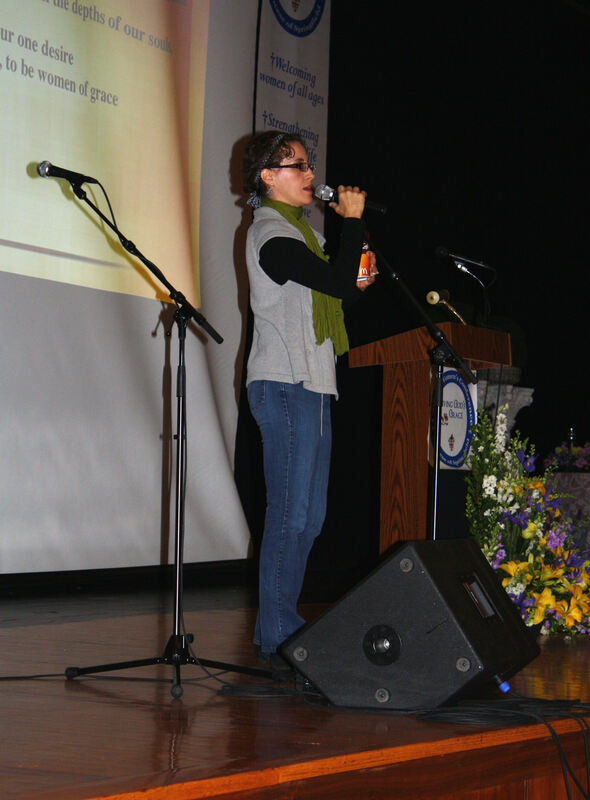 Musician Sarah Hart, who flew in from Nashville, Tennessee got the day going with great music. She even got some of the women in the crowd into the spirit and brought them on stage for a song. 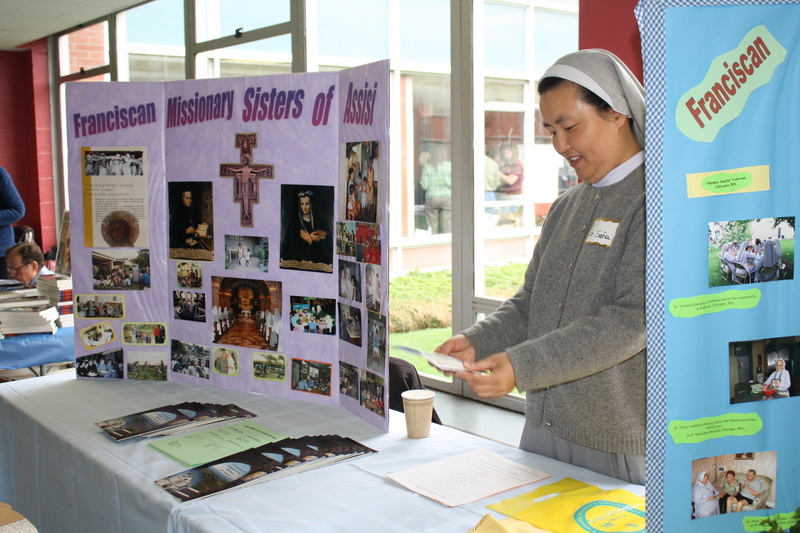 "Make joyful music unto the Lord"
The Catholic Women’s Conference Committe created a prayer space for the day as part of a lovely opening ceremony. 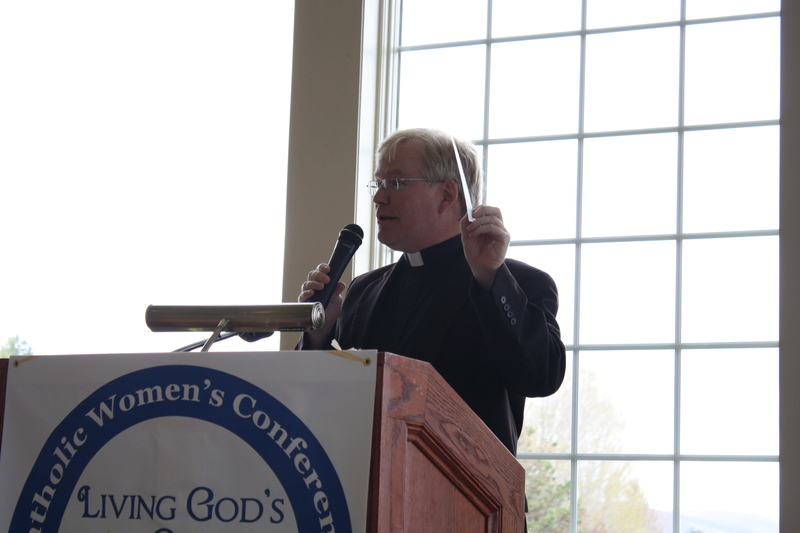 Springfield Bishop Timothy A. McDonnell welcomed the women to the conference and was the host for the special day. Marion Johnson of St. Michael’s Cathedral Parish and the Knights and Ladies of Peter Claver and Peggy Weber of Catholic Communications were the co-mistresses of ceremonies. 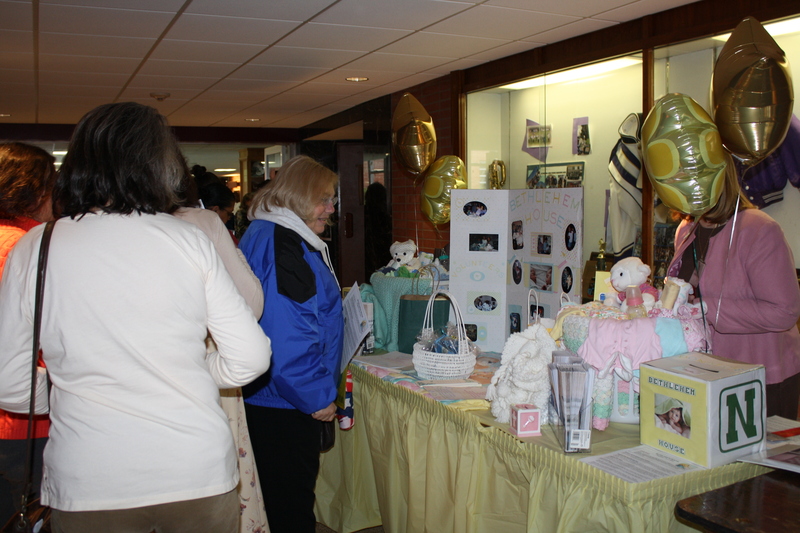 Mary Blais and Suzanne Frennier coordinated all the vendors for the day. 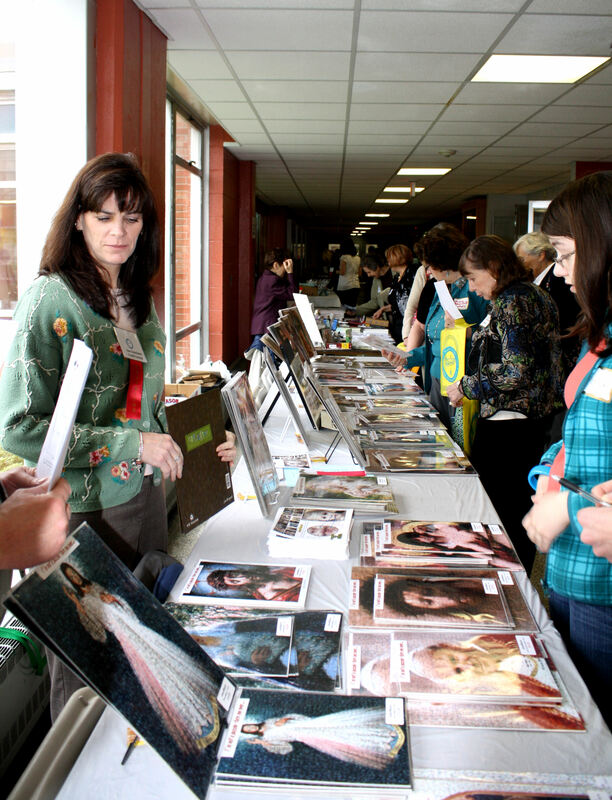 A record 47 groups were represented in the hallways. 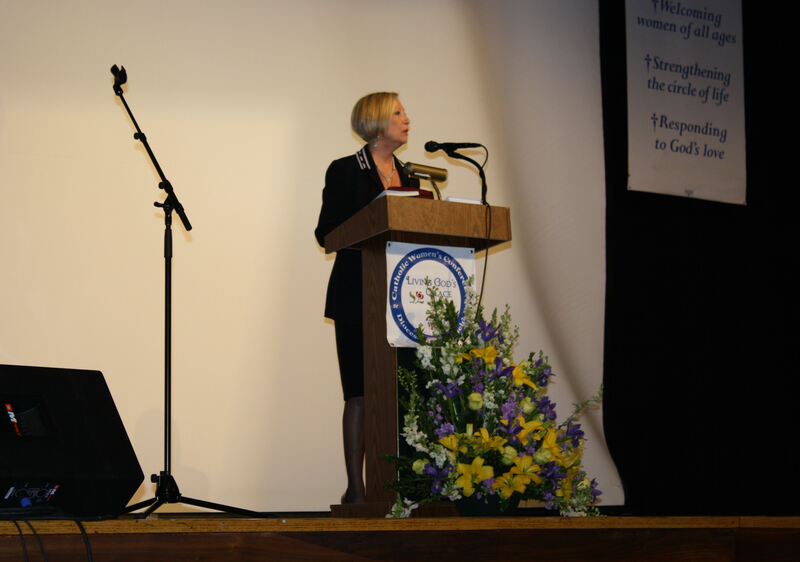 EWTN’s Johnnette Benkovic gave an energetic talk on forgiveness and the love of God. 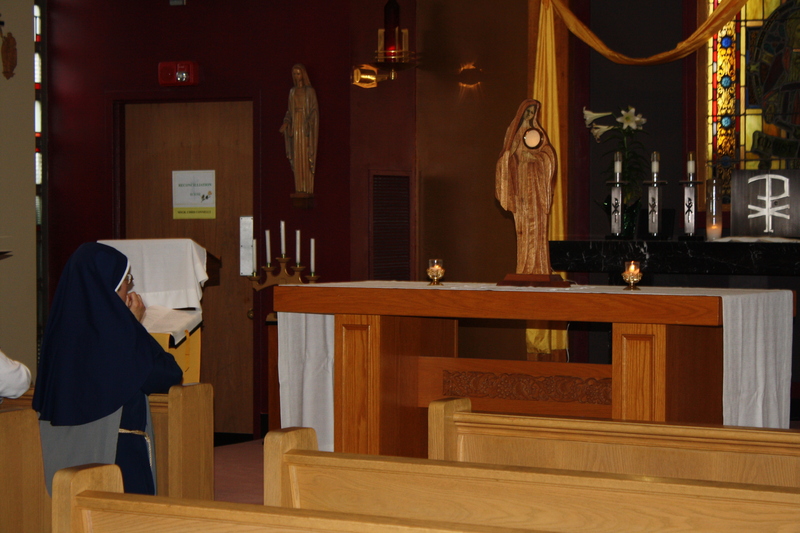 There also was time for quiet prayer in the Cathedral High School chapel. 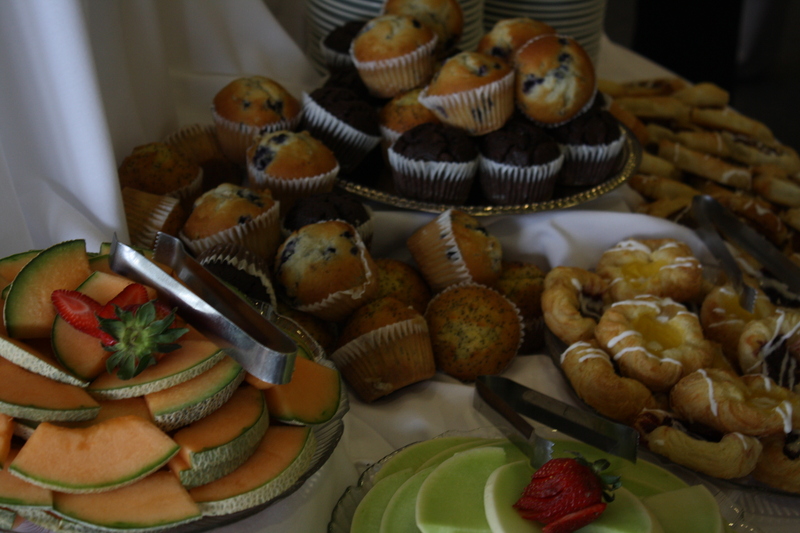 And of course there was time for a delicious box lunch from Hamel Caterers. There was time for coffee and danish at the start of the day, too. 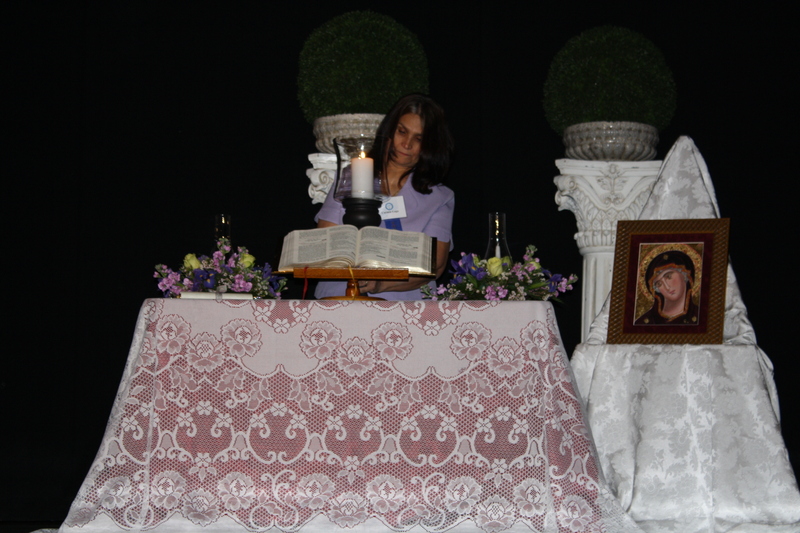 Truly, one of the highlights of the day was the beautiful talk given by Sister Olga of the Eucharist. 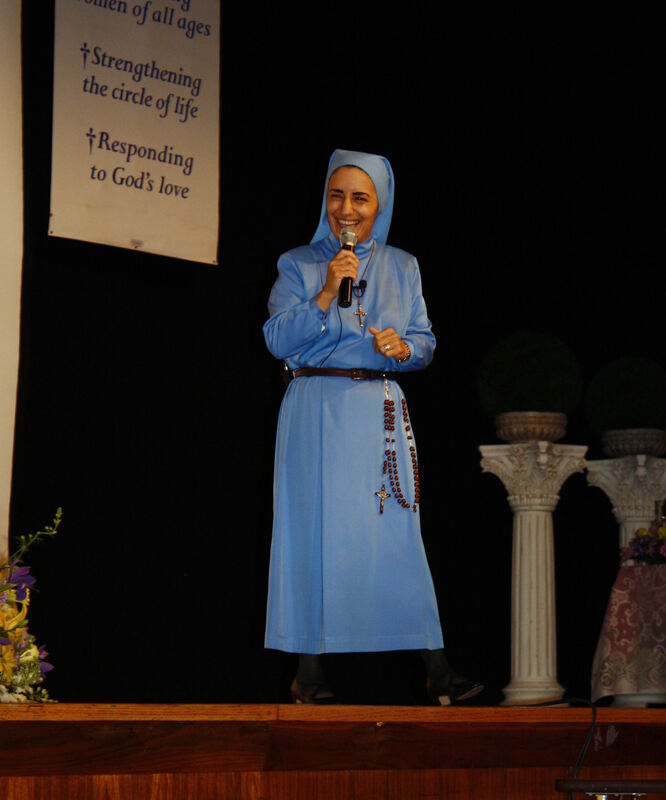 This petite nun, who is originally from Iraq, gave a message of peace and love that had a powerful impact. Another moving event was the “Hem of the Garment” ceremony led by Monsignor Christopher D. Connelly, vicar general of the Diocese of Springfield and rector of St. Michael’s Cathedral. 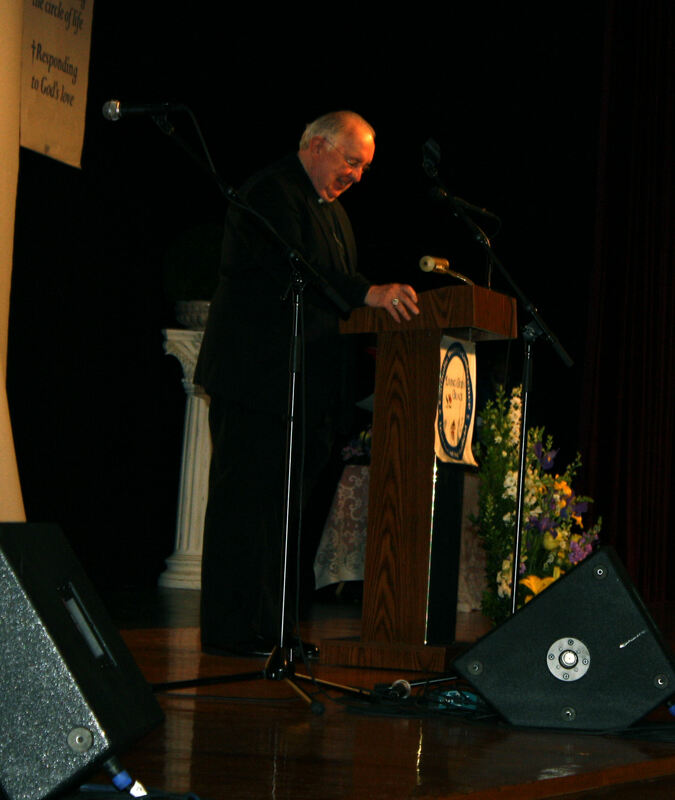 He reflected on the power of the Eucharist to the women and then led a procession up and down the aisles of the auditorium. 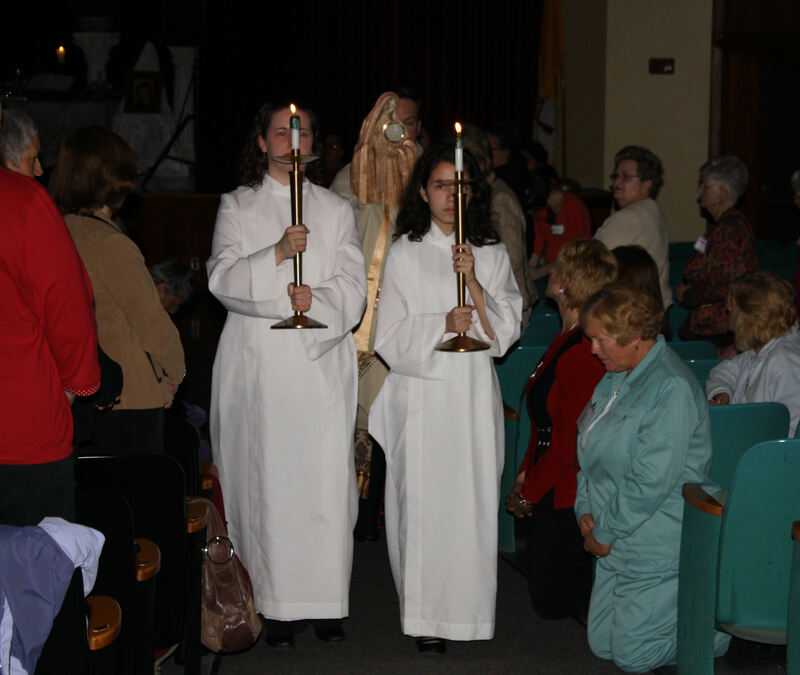 He was assisted by altar servers Elizabeth Weber and Jessica Nieves. It was a beautiful procession. Johnnette gave another talk and there was still another chance to check out the tables. The day concluded with a beautiful Mass and more music by Sarah Hart. 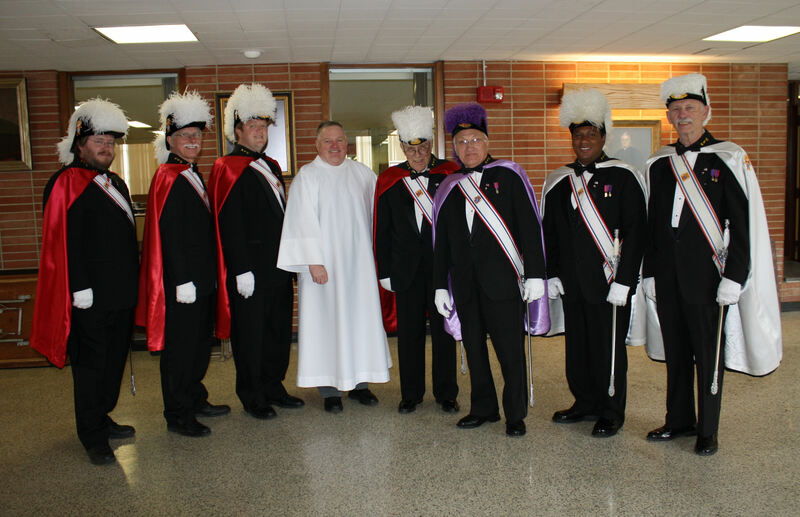 The Knights of Columbus and Deacon Leo Coughlin assisted at the Mass with Bishop McDonnell. Deacon Jim Conroy of St. Thomas Parish in West Springfield proclaimed the gospel. 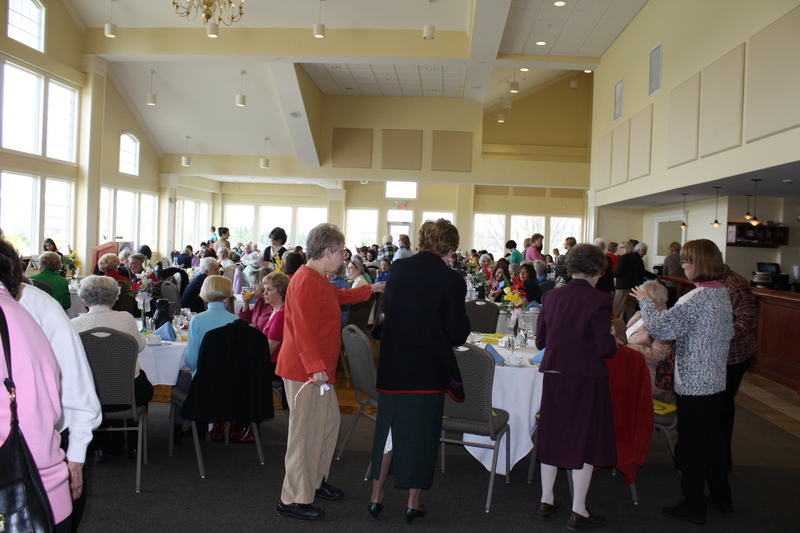 Those who attended said it was a grace-filled day and they look forward to next year. 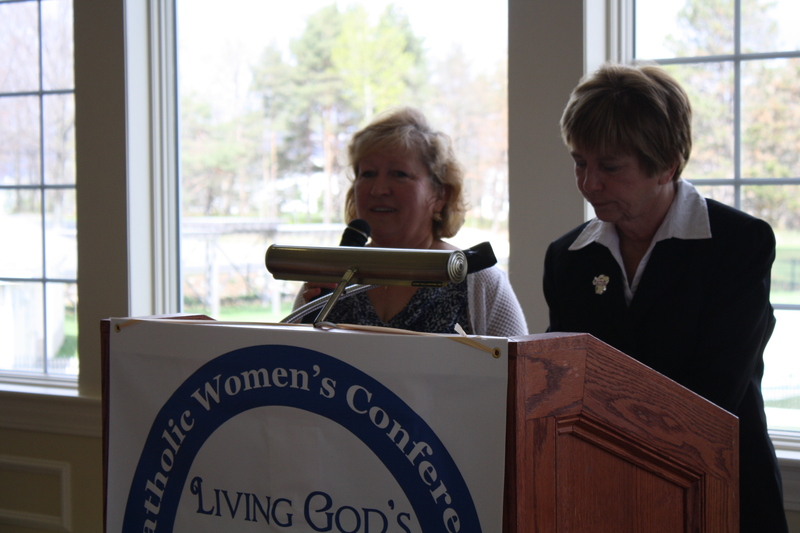 Jean praised the work of the 22 women on the Catholic Women’s Conference committee who helped make the day a success. 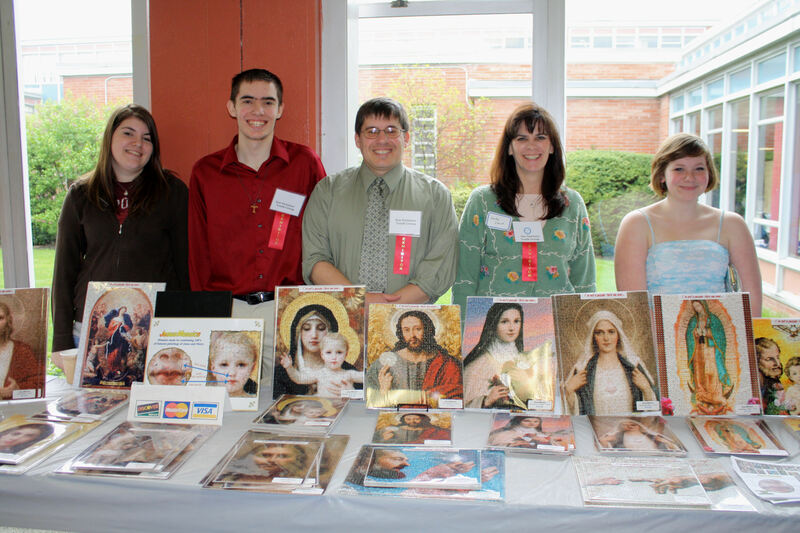 The conference is featured in the April 23rd issue of The Catholic Observer. 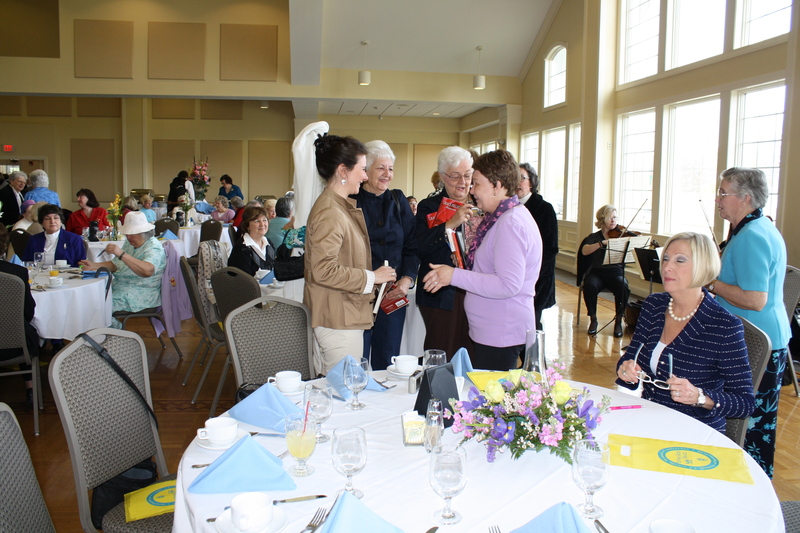 And it there will be a segment about it on “Real to Reel” on April 24 on WWLP-TV22 at 7 p.m.
More than 135 women gathered April 18 in the Berkshires for a special brunch at Berkshire Hills Country Club. 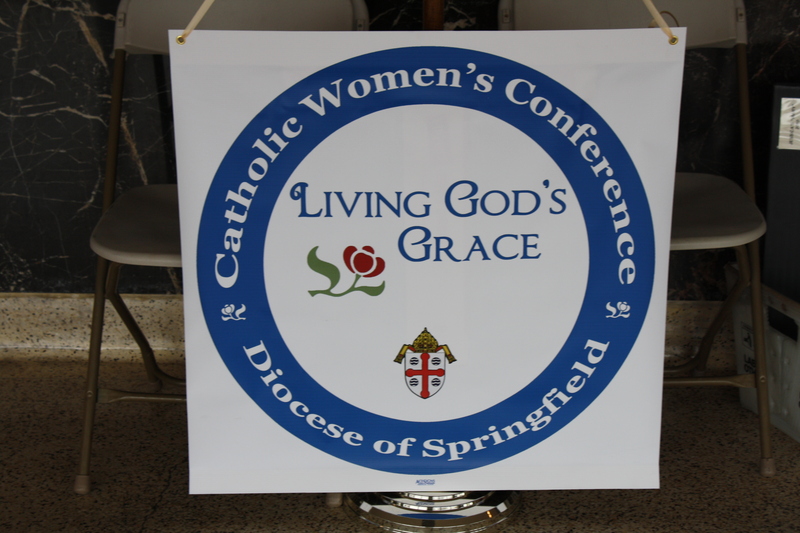 This was part of the Catholic Women’s Conference events held in the Diocese of Springfield. The views were great and the company was even better. The day featured great food. 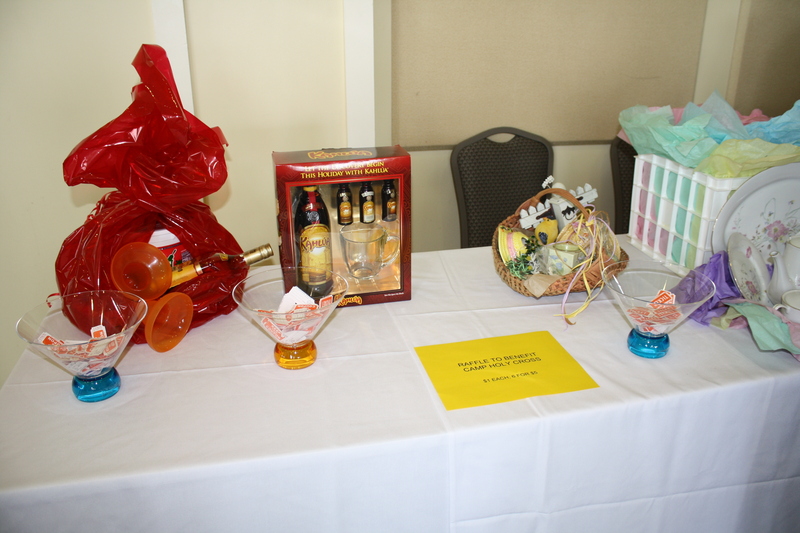 A raffle of creative prizes helped raise funds for Camp Holy Cross in Goshen. The whole weekend brought together a $2,700 donation to the camp. Father Chris Malatesta, pastor of St. Agnes Parish in Dalton and director of Camp Holy Cross was on hand to show his appreciation. 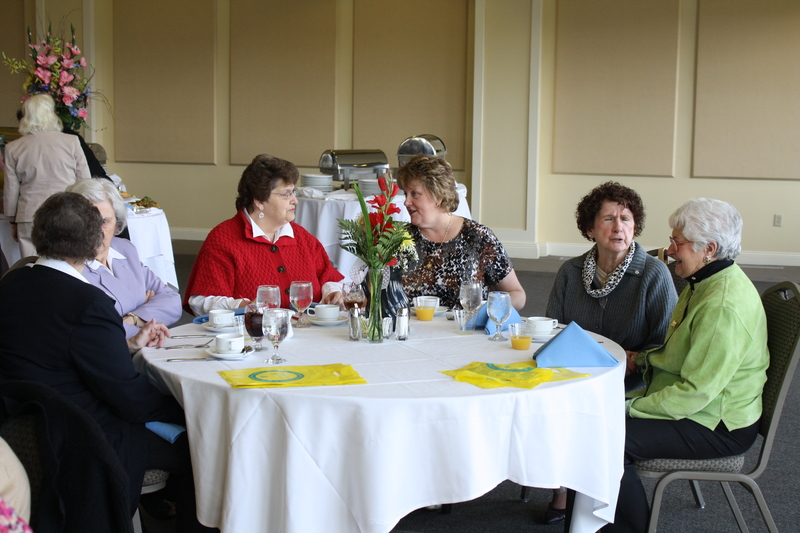 Ann Hurley and Jean Razckowski and many other volunteers helped organize this special brunch. 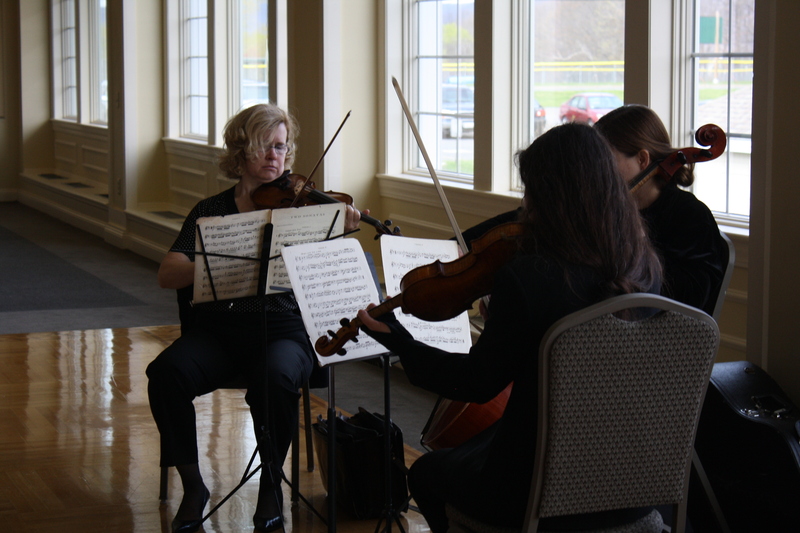 Those attending delighted in the string music that enhanced their Sunday morning experience. 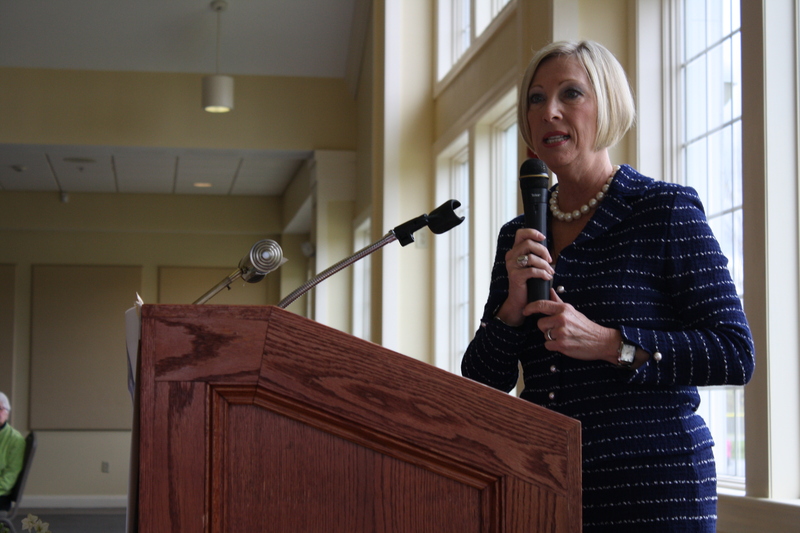 Johnnette Benkovic of the EWTN network spoke to the women. She told them of how she handled her grief after losing her husband to cancer. 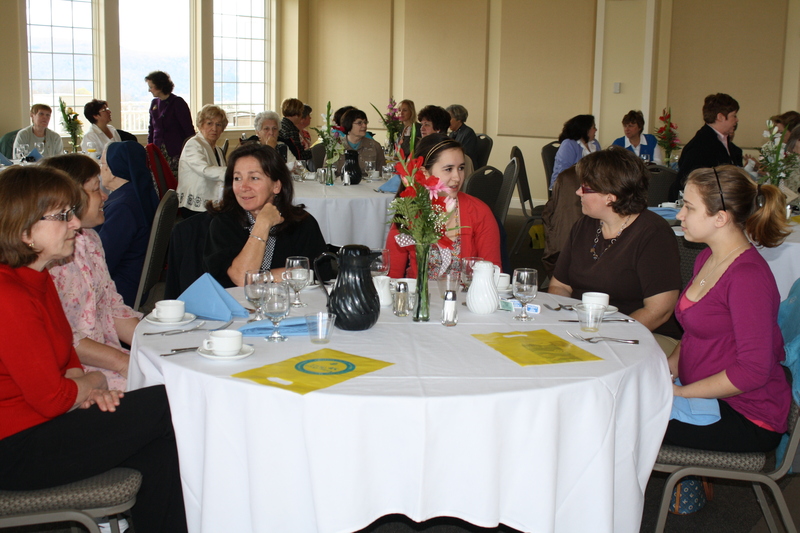 Amid the talk and music and fundraising this brunch was a chance for women to gather together. 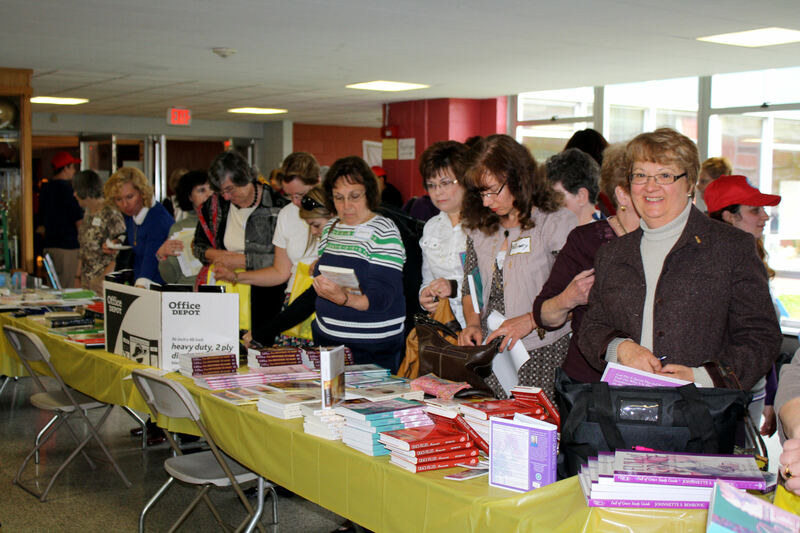 This event completed a great weekend organized by the Catholic Women’s Conference committee. 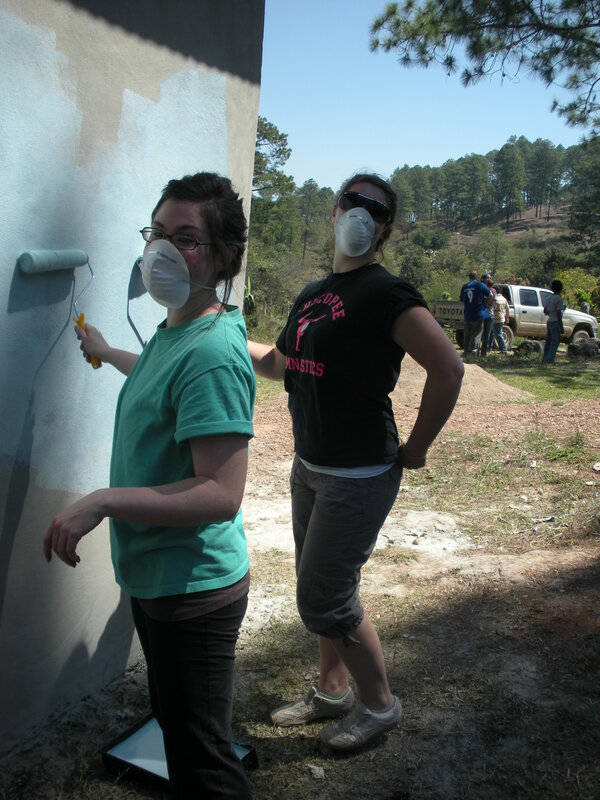 The following are two Elms College students’ reflections on their trip to Honduras. 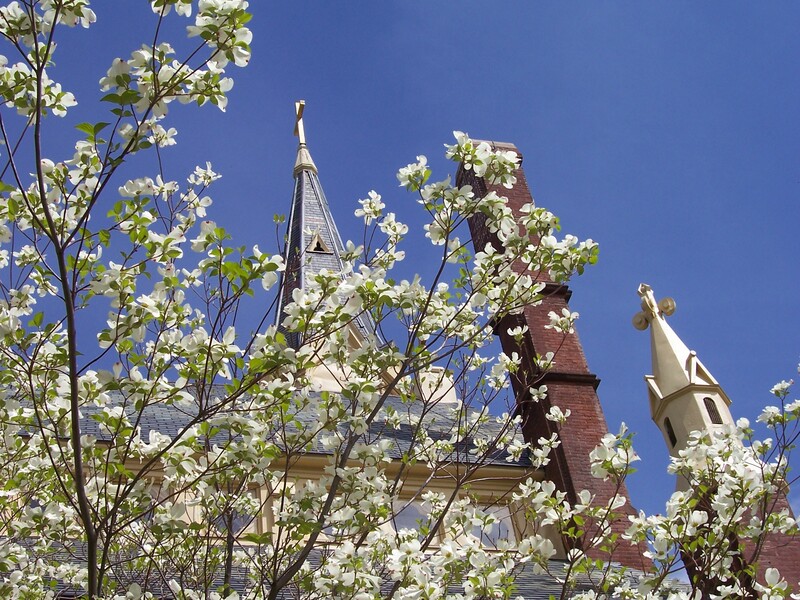 Keep scrolling down to read more heartfelt stories by other Elms College students who spent their spring break doing service for others. 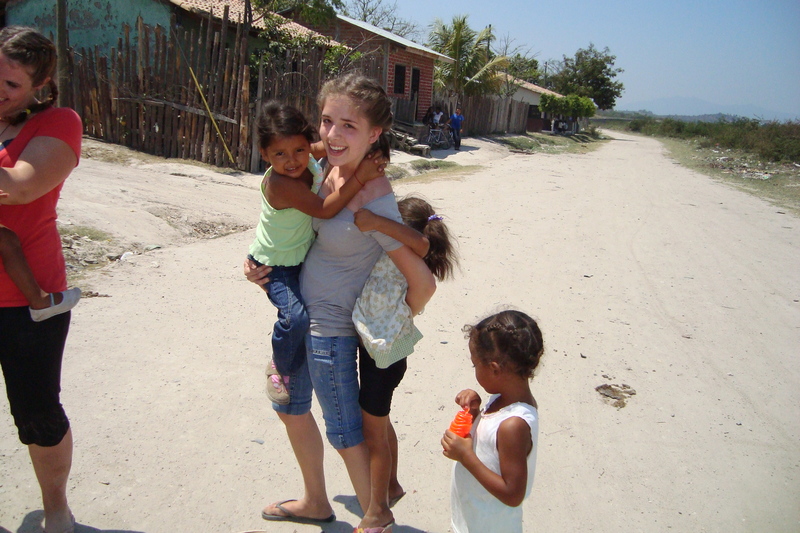 Honduras, I carry you in my heart! Recently, I was in Talanga, Honduras with eight other Elms college students, aSister of Saint JosephCarol Allan and our chaplain, Father Mark Stelzer, working aside the five Passionist Volunteers that are currently stationed there. I am now back in America, processing everything I saw and felt, desperately trying not to readapt myself to the lifestyle I was living prior to the trip. 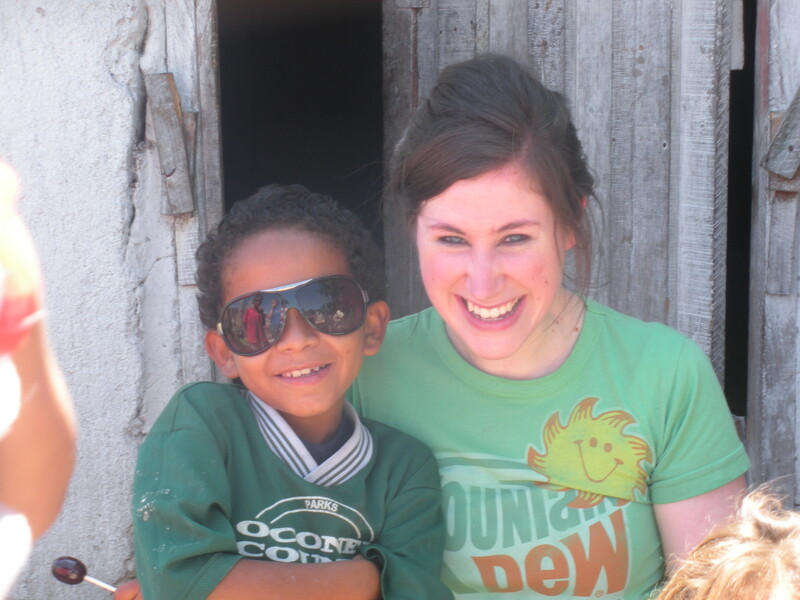 I always dread the week after a service trip, simply because after I’ve experienced extreme poverty and suffering, it’s nearly impossible to focus on school work. Shakespeare and medieval drama seem rather insignificant in the larger scheme of things. I accompanied the poor and empathized with their struggles; if I allow myself to be unchanged from this experience, I will not only be letting the people down, but I will be letting myself down. Prior to leaving for Talanga, I built up great expectations for myself, primarily because I wanted to feel what Hondurans feel and wanted to experience the complex lives of a developing country. I believe I have connected with the poor on an extremely intimate level by allowing my vulnerability to overcome me, and by forcing myself out of the limits of my comfort zone. It was during these times that I was able to see life through another perspective, to piece together its mysteries in order to discern some truth, so that I could shape my spirit into its greatest potential. To axe down the walls we build around our souls is much easier said than done, but if we can accomplish this, our lives will be forever altered; for it is when we allow ourselves to be ourselves that we feel the most real. Talanga, Honduras is approximately an hour drive outside of the capital, Tegucigalpa. Its people are sensational. Though they struggle immensely on a daily basis, the resilience of their spirits is more than just admirable; for me, it’s incomprehensible. As many times as I tried to understand the strength, generosity and worth of these people, I could only feel what they had shown me; I could not explain it. When one has no material items to rely on for happiness or protection, something amazing happens, in that people must rely on other people in order to make it. God sides with the poor; therefore, it is when we surround ourselves with the poor that we see God most apparent. In this small town is where I found God and where I found humanity at its best. Though many Hondurans suffer from depression, and many women endure domestic abuse, they somehow find a way to keep faith. Their smiles are so genuine; they smile with their whole face, showing off their spirits within. Sometimes, though, a smile isn’t possible. Whenever I would see a person too sad to hide their sufferings, I would see God even more strongly. It was through these people that I was suddenly hit with their very difficult reality. 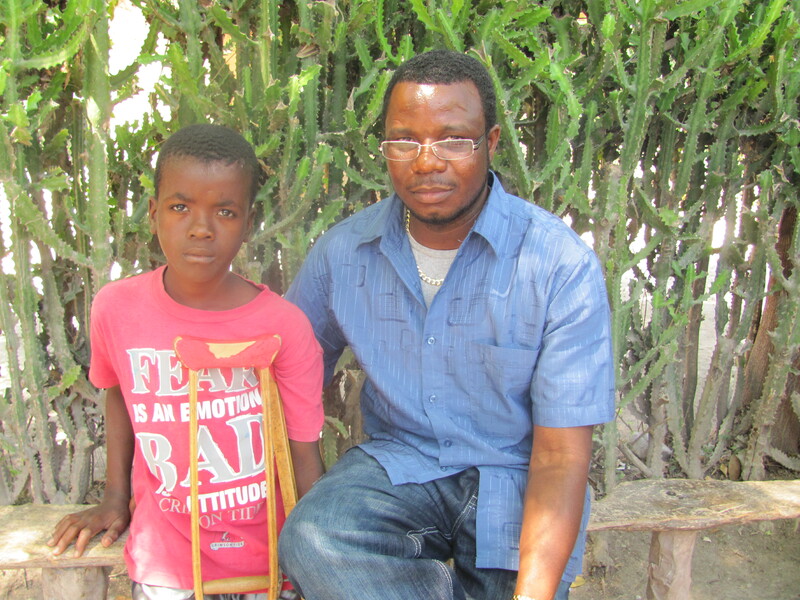 Though I must admit, I did not meet one child who I did not see smiling. We can learn so much from the innocence and beauty of the children of Honduras. They come up from behind you, grab your hand without questioning your intentions, and never second-guess your trustworthiness. 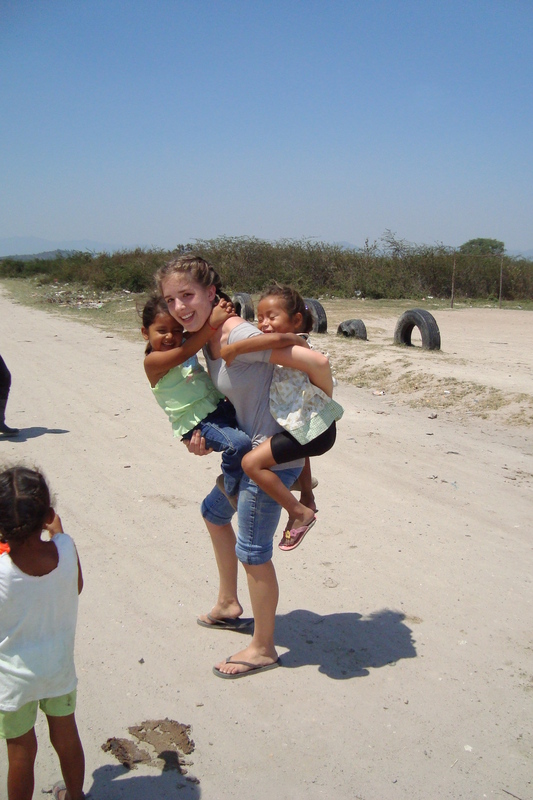 Though we gringas are different in appearance and behavior, these children wouldn’t even know how to discriminate against us. We are welcomed in without a single breath of hesitation. I never knew this behavior existed outside of an idealistic world, and feel so fortunate and grateful to have experienced this beauty in their culture. One of the days during our trip, I went to the fourth grade class, accompanied by four fellow volunteers and one Passionist volunteer, to help teach English. Not two minutes had passed, after sitting in a corner of the tightly crammed room of almost fifty students, that I was approached by a child, given a sticker, a smile and a warm hug. Mere seconds passed and I was being showered with more gifts, one of which was a necklace with a cross. These children have nothing. Many of them are starving, so this generosity was not just something to admire; it was something that brought me to tears, and which gave me hope in humanity again. These children reflected God, in the sense that not only were they thanking me for being there with them, but they were telling me to be grateful, extremely grateful, for experiencing what I was. The people of Talanga are living such meaningful lives. Just because they are poor does not mean they are not living the best lives they could be. Simply because they are underprivileged does not mean they are incapable. Simply because they don’t own things does not mean they are not rich. I know, thanks to the grace of God, that I will never be able to rid myself of these people or this profound experience, and I am so grateful for this! 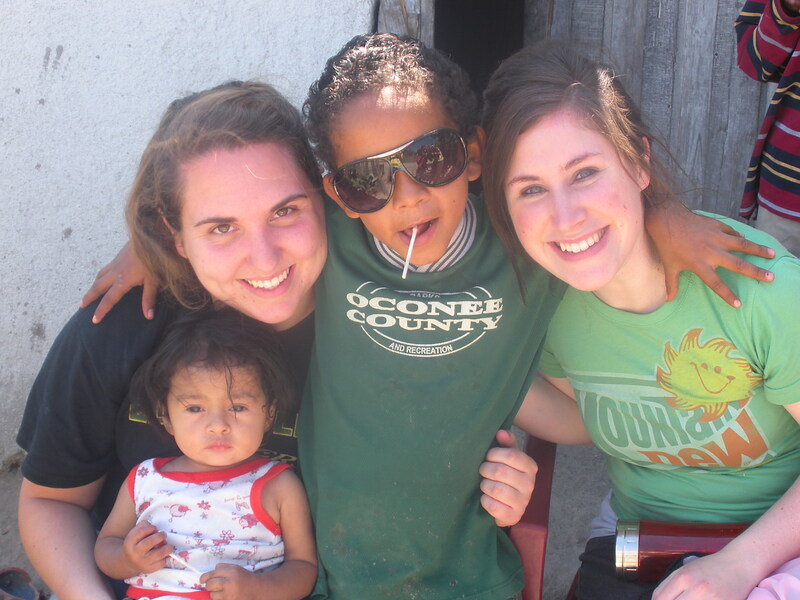 Please remember to pray for those in Honduras, and remember that people are always suffering in ways we cannot fathom. Though we live in an extremely greedy and corrupt world, we must remember that it is those who are oppressed who reflect God the most.. These people are left to die. It is only through their strength that they survive. Remember that, and fight against the injustices that they have to endure. These people did not choose to be poor, nor did they become poor because of bad decision-making. They were born into it, and most likely, will never leave it. We can no longer live in ignorance. We must fight for those who are depending on us; we cannot let them down. Through out our lives we all have pivoting points during which life as we know it changes. As I stepped out of the airport in Honduras, surrounded by eight girls that I hardly knew, I had this feeling that week to come would change life as I knew it. I wish I could say I had prepared myself completely for the trip, I thought I had, but no matter how much you plan ahead nothing could have prepared me completely for how devastatingly different everything was. Everything from the weather, the landscape, the culture, and most of all the people was nothing like I had ever encountered before. 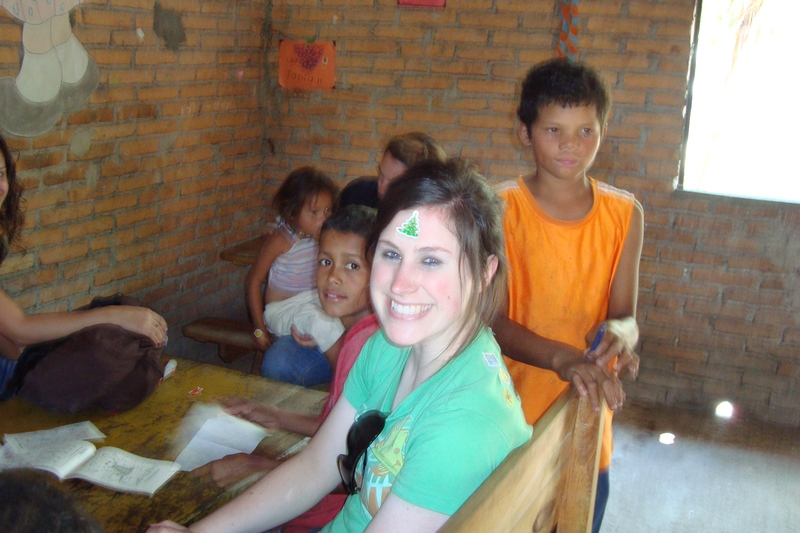 I had originally looked into the trip because I have been feeling a calling to work in the mission’s field after I graduate, and I figured this was a good start. I wanted to make a difference in the lives of others, I wanted to show God’s love to people whatever that meant. I know now that God was not only going to use me to bless others, but also to use the people to change my heart. For every one of the kids and mothers were blessings to me. I went with the idea of sharing love and hope, but I ended up finding love, hope and God in the people. 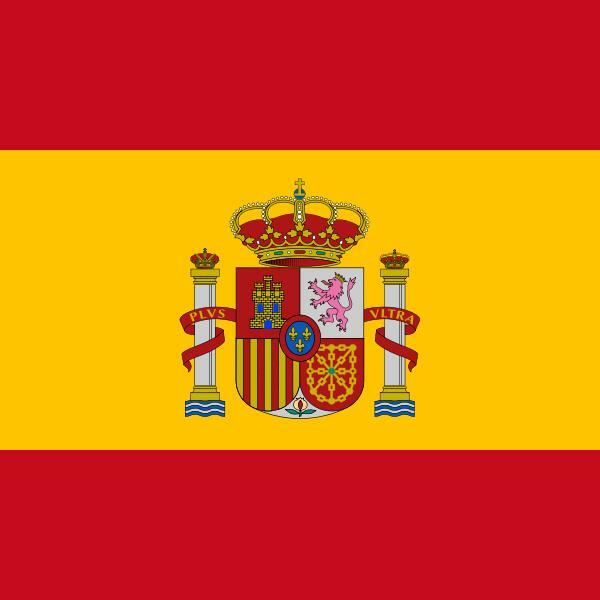 During the first couple days I remember thinking: “What have I gotten myself into?” I felt lost, alone in a whirlwind of dust and Spanish. The poverty and harsh realities of life were more then I could comprehend, and trying to process it all was almost impossible. But I began to find my strength and purpose in the eyes of the children. Slowly I started to feel as if I belonged there, to the point that I didn’t want to come home. By the end of the week I felt such an overwhelming peace and sense of purpose in everything that I did. I felt that for the first time in my life God was walking beside me saying: “Yes, this is the plan I have for you.” I often become so overwhelmed with the hectic monotony of life that my sense of purpose becomes lost. As the days past it was hard to believe that the week would come to an end and we would have to pack up and leave the place we had all come to love in such a short amount of time. Through out the week we spent our mornings playing, working with and giving food to the children. We spent hours every day coming to know the little ones the world has forgotten, but I know I shall never forget. Everything we did for the children and families from playing to painting we did for their benefit, but the truth is that through each person I met God blessed me more then I could ever give in return. I have a new appreciation for life; a new understanding of the lives around me, and a hope that one-day God will enable me to return. He may never bring me back to Honduras, but I do believe that He has a lot in store for me and I can only hope that it will involve something similar to our work and time in Honduras. If I could wake up every day feeling the same peace and purpose in my daily walk as I did in Honduras I would want for nothing. 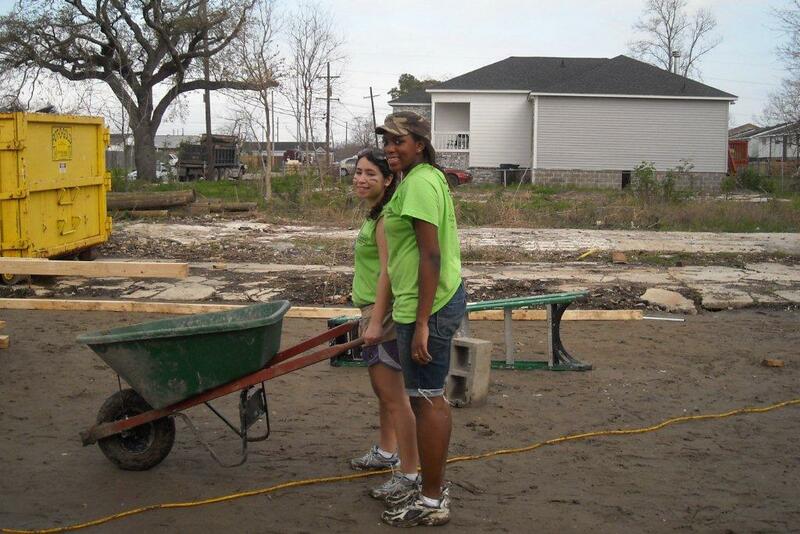 The following are two reflections by Elms College students who went to New Orleans as part of their service trip. 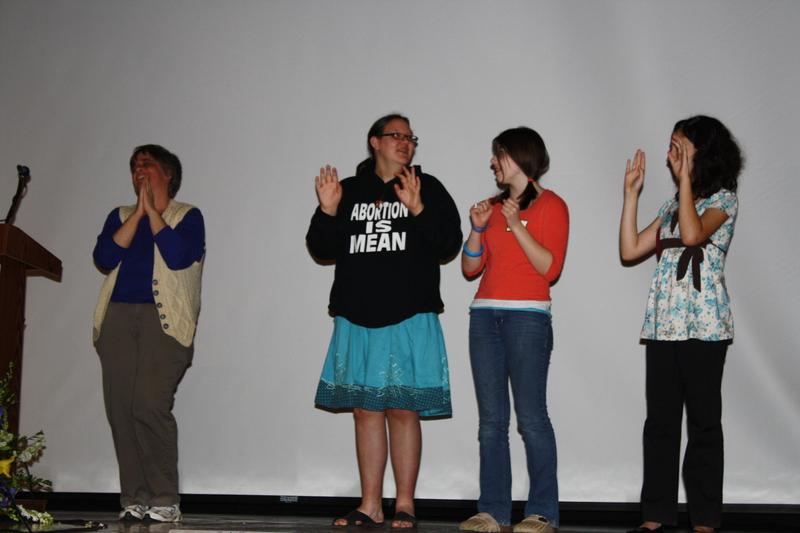 The students were accompanied by Eileen Kirk and Dee Ward. This year for spring break I had a choice between staying home sleeping all day and staying out all night or doing something meaningful with my time. I chose to do something meaningful and signed up to go on Elms College’s alternative spring break trip to New Orleans. 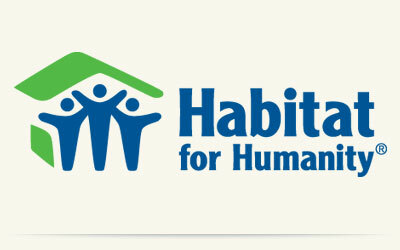 This trip would include spending the majority of my time building a house for a Hurricane Katrina victim as a part of Habitat for Humanity. I had done Habitat for Humanity before and worked on houses in Springfield in Holyoke but the work I did this year in New Orleans was truly back breaking. I had never done such hard labor in my life. On the first day I worked on the roof. Getting up the ladder was fine, but taking that first step on a slant is hard, especially when you’ve got sand on the bottom of your sneakers. I did preparatory work, hammering and such, for roof shingling that whole day. The second day we went back to the site and getting on the roof was a lot easier. This time I was actually putting on shingles. On my down time, I sat at the roof and looked around at the neighborhood I was in. What I saw was unbelievable. I saw a handful of fixed houses surrounded by a sea of still condemned and unfixed houses. Each house still sports a spray painted X; you pray the number at the bottom of the X is a zero. Rarely do you see a car go by or a child playing, because this neighborhood that was once filled with life and color is practically a ghost town. It is hard to believe that Hurricane Katrina happened five years ago when you still see its effects everywhere. After lunch that day, one of the site leaders led us to another house. It had been broken into and the insulation was ripped out. My group’s job was to quickly stuff the fiber glass back in the walls before a group came in to put up dry wall. I asked why anyone would do this– would rip down insulation and got an answer. It happens a lot and people will steal wiring and metal so they can sell it. Some people are still desperate. The third day on the build was the hardest morning to wake up because I was very sore. On this day I wanted to do some of the other jobs. I started by nailing wood together for the foundation of another house that would be built down the street. I then helped some of my group members shovel dirt from a huge pile into a wheelbarrow that was carried away by two other people. After a while, I stopped shoveling and carried the wheelbarrow and found out where the dirt was going. It was going under the house, to get rid of the huge puddles under it. I then began to help two girls underneath the house push the dirt into the puddles until it became mud and the dirt disappeared. There was not much room under the house, only enough room to crouch over. Needless to say, after pushing heavy mud around, my back was on fire. When the puddles under the house were gone, we worked on puddles around the house. It was tedious. Near the end of the day, one of my friends asked if she could ask me questions on tape for her footage of our trip and I agreed. Her first question to me was something along the lines of, “How do you feel?” I looked at her, tired, hot, drenched in mud and achy and said, “ARE YOU KIDDING ME! I have hammered my hands a dozen times. My back is killing me. My hands have been rubbed raw from shoveling and carrying the wheelbarrow. I am covered from head to toe in mud. My feet haven’t been dry for two days and my face is burnt… I’VE NEVER BEEN HAPPIER.” It was true, I had my fair share of pains but it was all so worth it. I never got to meet the family that was going to live in the house, but I have touched their lives forever because I was not really building them a house. I was building them a place to feel safe in, a place to grow in, and a place they would be proud to call their own. I was building a home. The past week literally flew by. In some sense, I still feel like I should be on Spring Break, just so that I could be back in New Orleans helping those who really need it. Over the past few days I have been trying to process my time in New Orleans and put my feelings into words, but with so many distractions back here at home, and my little problem with procrastination, it has been hard to get things in order. 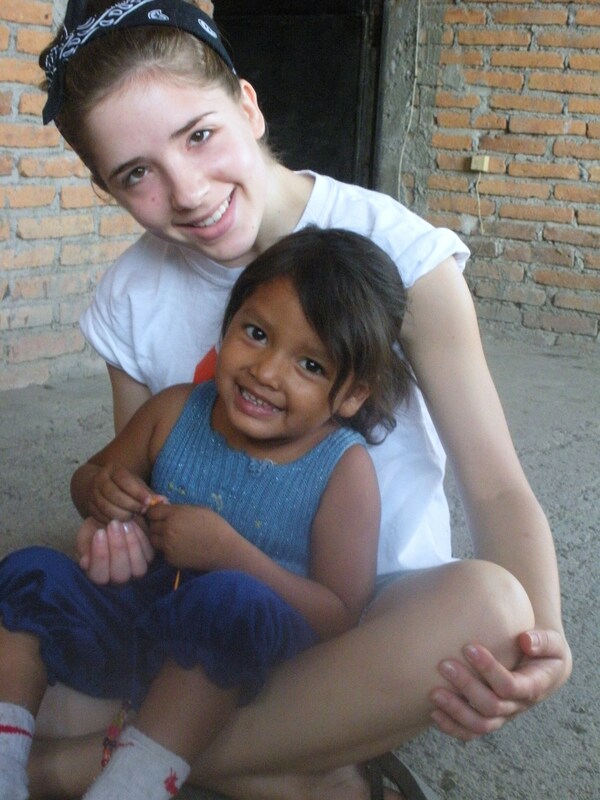 I guess to start, I knew the I had wanted to do some other volunteer work here at the Elms, other than the Dorothy Day Program, but I didn’t really think that I would want to go overseas to do it—mainly because money is tight and I really didn’t have much support from anyone but my mother. 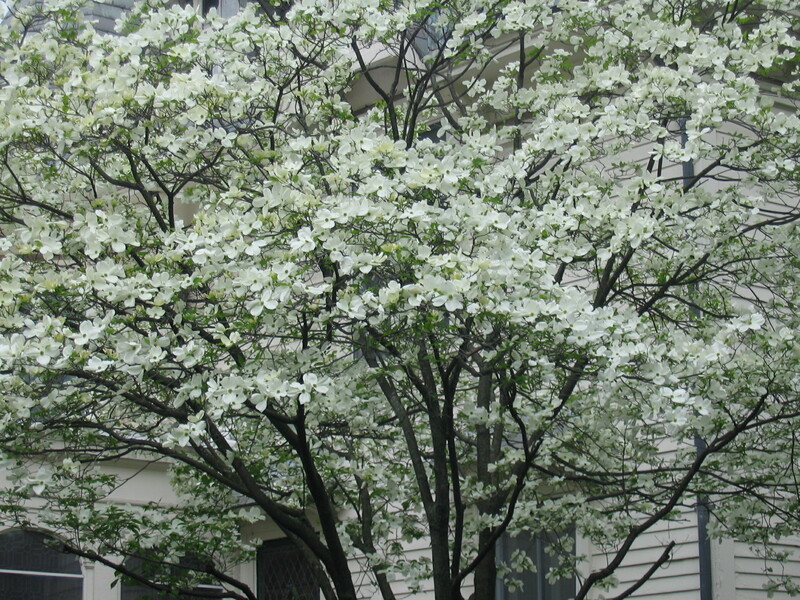 So when a friend of mine, Keith [Godek] approached me about going to New Orleans for an alternative Spring Break, I was still a little skeptical about the whole thing, but I figured it was a way to make the difference I wanted to. But as the weeks passed, and more fundraising was done, and I saw how fast plans progressed, I found that the trip was all that I could think about. 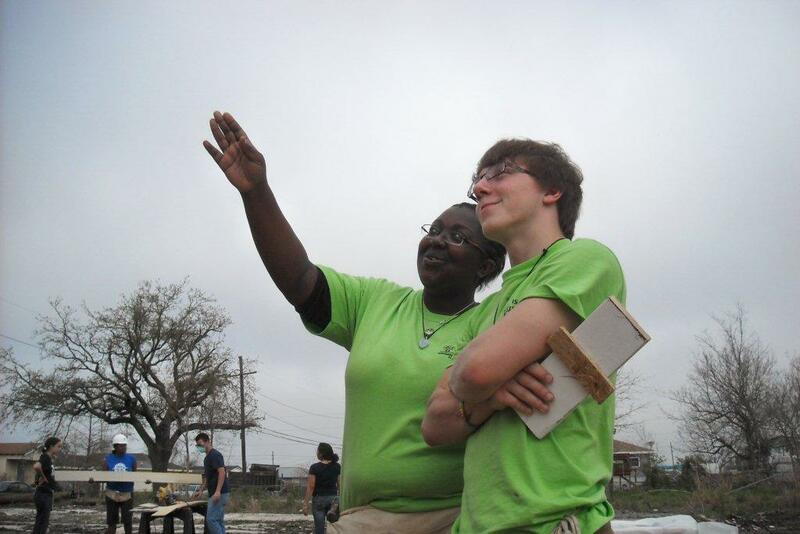 In the time leading up to New Orleans, I would always say that this second time around, I would actually be getting the chance to help the people, instead of just walking around and looking at the devastation that Hurricanes Rita and Katrina caused. But this trip was a lot more personal. This trip was a chance for me to really fulfill something in myself that I felt I had been missing. It would give me the confidence boost I needed–not because I have self-confidence issues, but because it would prove to me, that I am capable of so much more in life. There is so much that life has to offer and so much that I could be volunteering my time to—and this is just the start. But looking back on the past week, being able to use my hands and knowing that the work I did was helping the Habitat workers and overall the family that would be living in the house when it is all done, made me feel so—proud, so humble—it was the sense of fulfillment that I was looking for. Every time I stepped back from the house and looked at the work all of us had done so far, I realized just how much I take things for granted. I get to the opportunity to do so much and I never take advantage of it. I never realize just how much I can afford and am privileged to receive within my family’s means. Realizing that so many children and teens in New Orleans my age don’t have these opportunities or privileges was an eye-opening experience. And just seeing how these people survive day by day just made me feel like there is so much more that I could do—that all the taking I do, should be replaced with giving. As a child of God, I was raised and taught that I should help those who cannot help themselves. That I should be more accepting of differences and see each person as they are meant to be seen under the eyes of God. And this is something I tried to do with every person I met while in New Orleans. I greeted complete strangers with a smile and hello whenever we crossed paths. I tried my best to find the good in the people I met and worked with. One of the most profound moments for me was listening to the story of how people kept breaking into a rebuilt Habitat House to steal the copper wire for money. It was the third time that it had happened and it was our job to replace the insulation that had been torn down. However, the specific event from that experience that really touched me how Anacelis [Gonzalez] picked up a broom from the mobile warehouse and swept the destroyed insulation into one room. Just the fact that she went out of her way to do that really touched me in an overwhelming way. Besides what I witnessed on Bourbon Street, which is another experience in itself, during this trip, I had the chance to step out of my comfort zone. I really couldn’t have asked for anything more out of this experience. It challenged me, both mentally and emotionally. It showed me that I really do have people here at the Elms that I can talk to and depend on if I ever need them. And although I know this may never be read by any of the people I worked with at Habitat, or by anyone I helped build the house for, I wanted to thank them for this experience and allowing me to be a part of this major event in their life. This experience has affected me more than they will ever know. I thank Elms College, our awesome and supportive chaperones, Eileen and Denise and everyone on the trip for making this such a memorable experience for me. Annie went to Jamaica with Elms students and Sisters of St. Joseph Maureen Kervick, Jeanne Branchaud and Elms College Director of Insitutional Marketing John Guimond. Jamaica was about laughing with kids, visiting homes, walking the beautiful hills, and being submerged in a new and inspiring culture. Jamaica gave us all the opportunity to learn through others about ourselves. 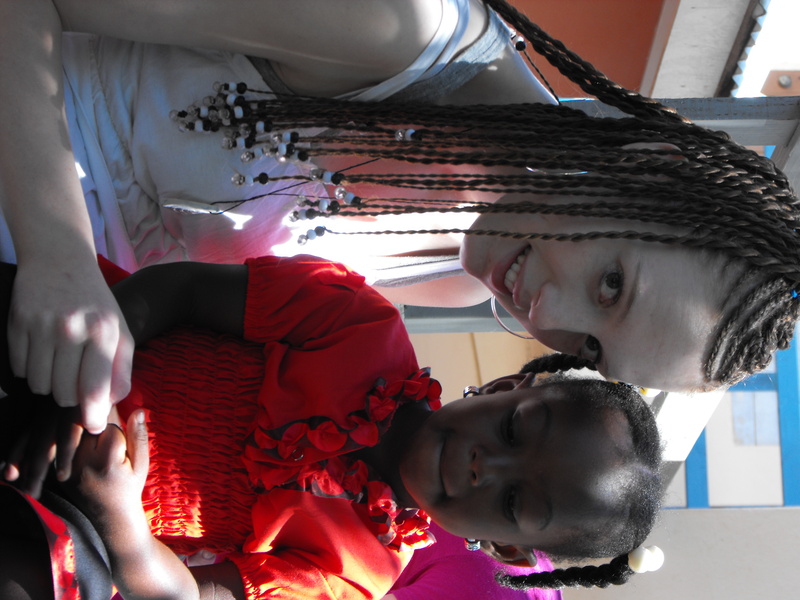 Our nine day trip consisted of visiting the four separate mission villages of Stony Hill. In our specific missions we spent time with a Passionist Volunteer, getting to know the community and walking with the people. We organized arts and crafts activities at the schools, walked children home, visited the elderly and sick, ate home cooked feasts and met endless inspiring individuals. As an entire group we spent one day painting a school and building a structure to shade a lunch room area. Another day we visited a home for orphaned boys with special needs. As we blew bubbles and played with shaving cream, we smiled and laughed at the energy and genuine happiness exhibited by these young boys. In just one visit we were quickly reminded of the true meaning of beauty. Jamaica was about going outside our comfort zones, becoming a family and reminding each of us about the importance of living in the moment. In just a matter of minutes life can change so dramatically. I was up early on Saturday morning, wanting to pack as much as possible into the day. 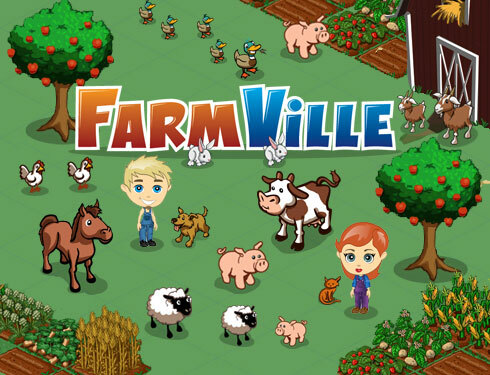 After making my coffee, first on the agenda was to check my Facebook and harvest my “crops” on Farmville. I am so addicted to this game on Facebook, probably due to my Polish roots, as many of my relatives in Chicopee and also in Poland were farmers. Before I could even get to my “field” the headlines on Yahoo News brought me back to reality. 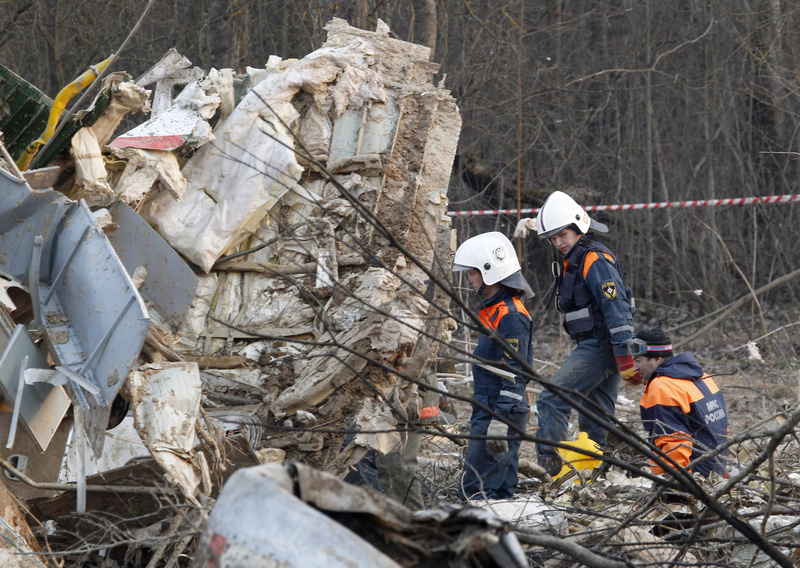 Polish President Lech Kaczynski and his wife, Maria, along with more than 90 other political, military and religious leaders had been killed in a plane crash. They had been traveling to attend a memorial service in the Village of Katyn, where in 1940 more than 20 thousand Polish citizens, prisoners of war, had been murdered by Stalin’s secret police. 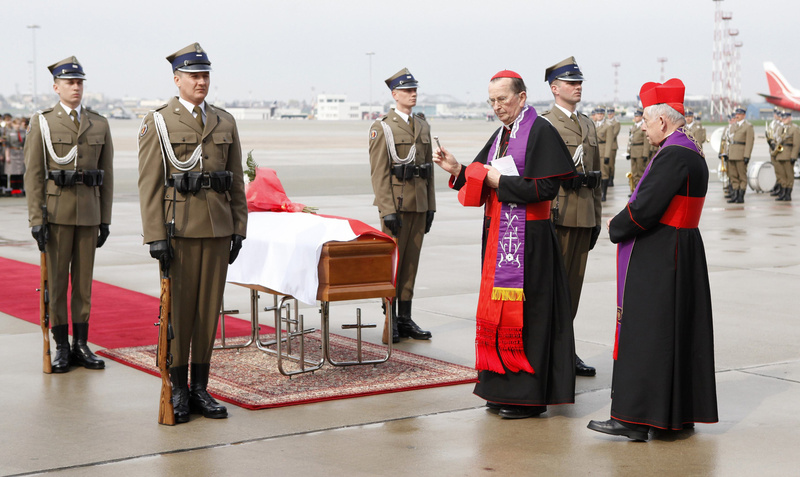 Even though I have only been to Poland once, 20 years ago when The Catholic Observer ran a pilgrimage to Poland, Austria and Germany, I grew up hearing stories from my Babci of the country of my ancestry, and have always felt a strong connection. I was so saddened to learn of the deaths of many of the country’s leaders and wondered how my relatives in Poland were doing. Also through Facebook I have been able to connect recently with one of my cousins who lives in Podkarpacie, Poland. Elzbieta Kitrys was only 8 years old when I met her and the rest of my aunts and uncles on her family farm almost 20 years ago. She is now 27, married and the mother of a little boy. A terrible thing has happened. 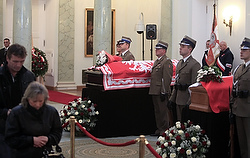 We lost not only the President, but also the most important person of the Polish political elite, military leaders, clergy, and the most educated person in the country. We weep, we pray and we wait with fear for what tomorrow brings. 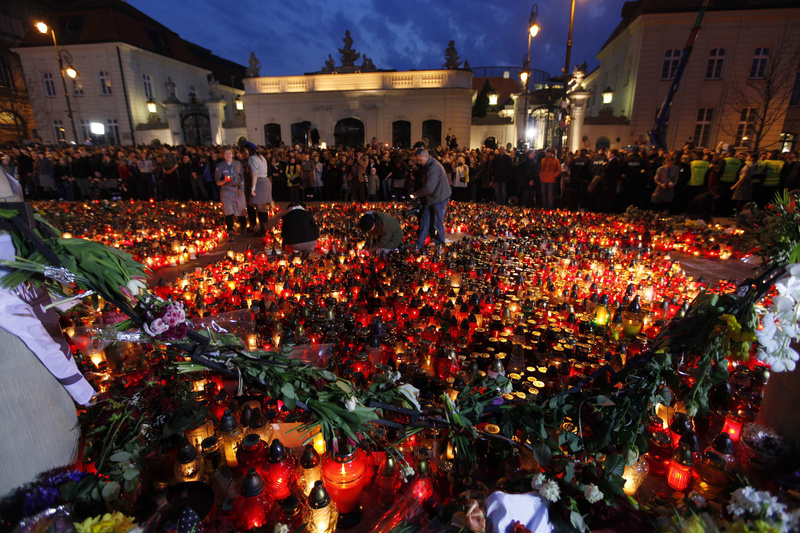 She told me of how hundreds of people continue to gather in front of the Presidential Palace in Warsaw, to pay homage to victims of the disaster. They light candles, many prayed in silence and concentration. These are not just names; these people had homes, families, position. In addition the Polish people are crying for them, families, children, husbands and wives. parents. They went to celebrate the memory of compatriots murdered 70 years ago. They will come back in metal coffins, in such a state that families will not be able for the last time to look at them, to say goodbye. It is not yet known whether it will be possible to identify any dead. At the moment, 17 people have been identified, most by their tattered clothes, wedding rings and special characteristics. Perhaps some of the identity can not be determined. And it is also a tragedy, for those who are waiting to bury their loved ones. And, she said, such a tragedy has come full circle. 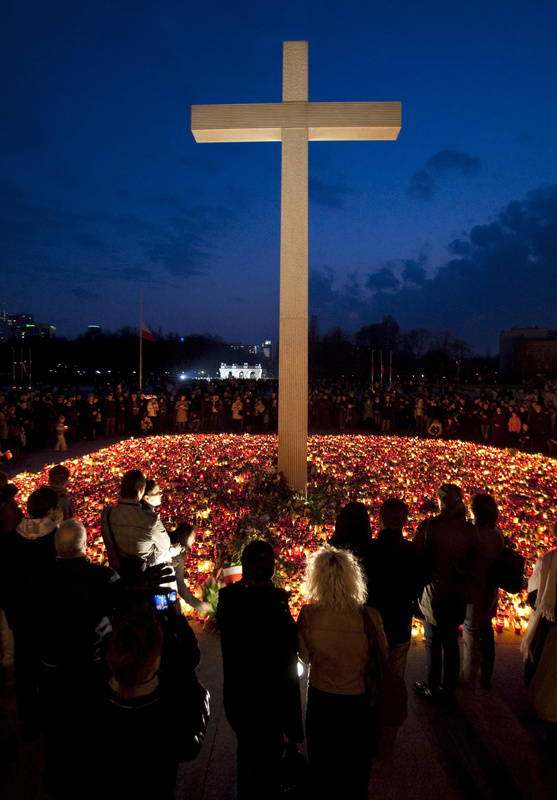 Sadly, the victims were to attend the 70th anniversary memorial of those to died in Katyn. The NKVD murdered 21, 768 Polish citizens, prisoners of war. This group consisted of both the Polish Army officers – including from the reserve, Police officers and noncommissioned officers of the State, and members of the Border Protection Corps. The number of murder victims included more than 7 thousand people arrested after Sept. 17, 1939 by the NKVD and detained in prisons in the occupied Soviet Eastern Poland Polish Republic, not having the status of prisoner. Victims of Stalin’s crimes were made buried in mass graves – in Katyn Forest near Smolensk, Tver, near Mednoye, Piatichatkach on the outskirts of Kharkov and in the case of 7 of thousands of victims in other unknown places. So this week, as we stand in solidarity, we remember the empty desk in the Presidential Palace, empty chairs in the Polish Parliament, empty offices of military leaders as well as the empty hearts of the People of Poland. Read more about the tragic plane crash and another local connection on www.iobserve.org. This is the third in a series of reports from Haiti. 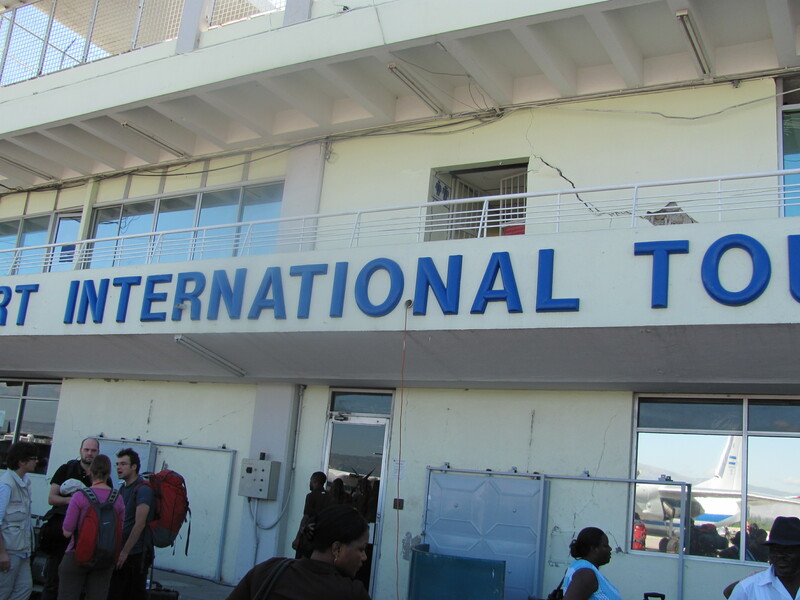 Late in the evening of April 7, I drove to Bradley Airport to pick up my Haitian-American friend Marc-Donald Leon-fils, who had just flown in from his native land. The day before, we had spoken by telephone about the situation in Deland, a village about 8 miles from his hometown of Savanne à Roches. Like other communities in the central Haitian Artibonite Valley, Deland has been suffering from a food shortage since hundreds of displaced earthquake victims have poured into town in recent weeks. A melee erupted in Deland on March 25 when an attempt to distribute food went awry. Ration cards were free, but not everyone who needed help received them. The result was a sort of local quarantine of the town by disgruntled locals who had set up barricades around the village to protest government incompetence in distributing aid. “I sponsor some handicapped kids in Deland. They didn’t even want to let me in at first. I had to negotiate with the local gang leader,” Leon-fils reports. During his trip, my friend had no easy internet access, so photos of what he saw had to wait for his return. But here they now are. 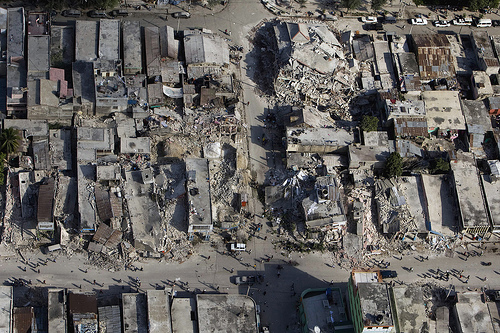 Remember: these are images taken just days ago; nearly three months after the Jan. 12 quake destroyed much of Port-au-Prince. 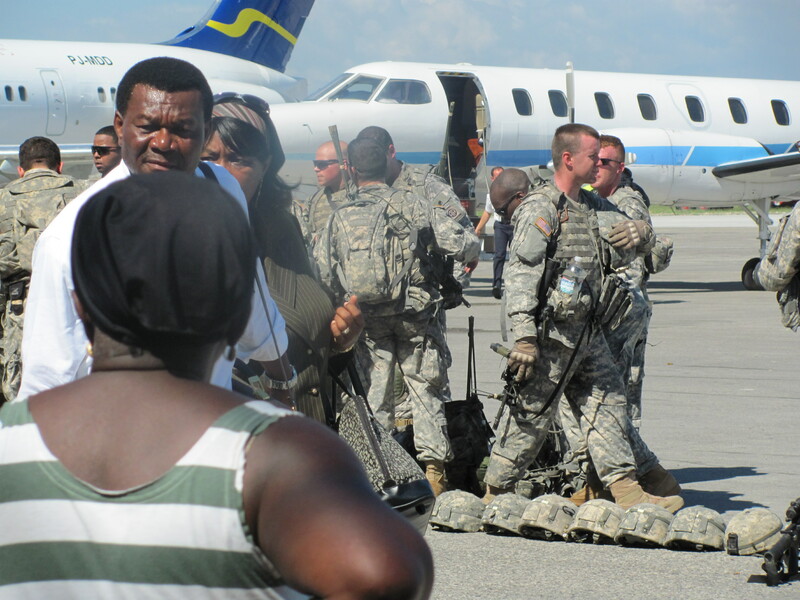 But even more dramatic is the ubiquitous presence of the U.S. military, who has been put in charge of organizing the flow of relief supplies into Haiti. 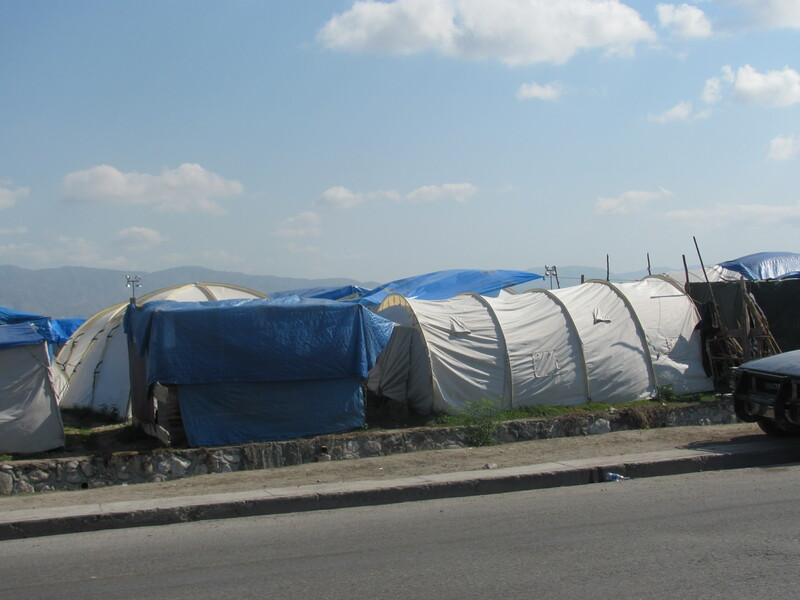 Coming into town, the first thing one sees are small tents everywhere. A few years ago, I admired this spot near the harbor, which was a beautifully manicured plaza. Then, it was one of Port-au-Prince’s showcase spots. Today, it’s filled with displaced earthquake victims. 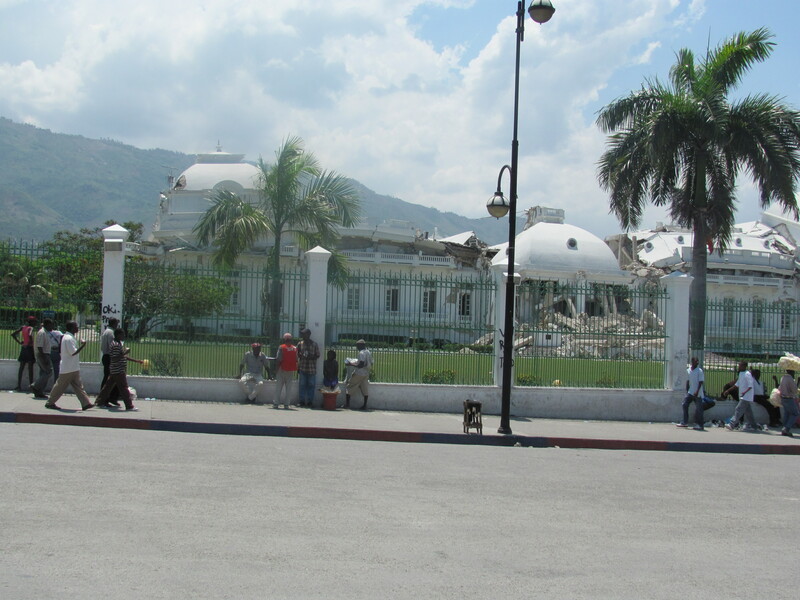 Downtown, one can’t miss the striking images of the damaged Port-au-Prince cathedral…. …. and Haiti’s Presidential palace. 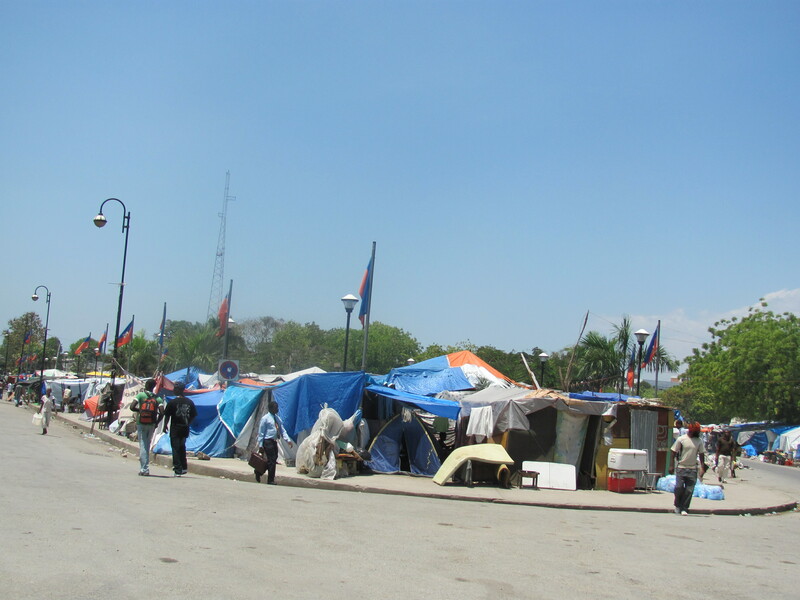 Yet some aspects of Port-au-Prince life are returning to “normal.” Merchants have set up spontaneous markets along the streets, often along the walls of damaged commercial buildings…. … or simply in tents. 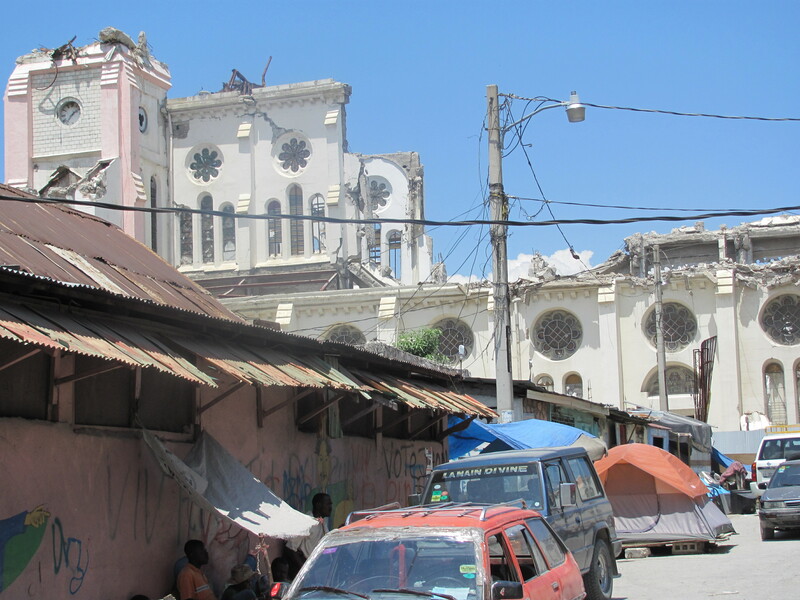 Overall, Port-au-Prince looks “as if the earthquake happened yesterday,” Leon-fils told me. Clearing away the debris has barely begun, due to a lack of proper equipment and coordination of reconstruction efforts by the central government. 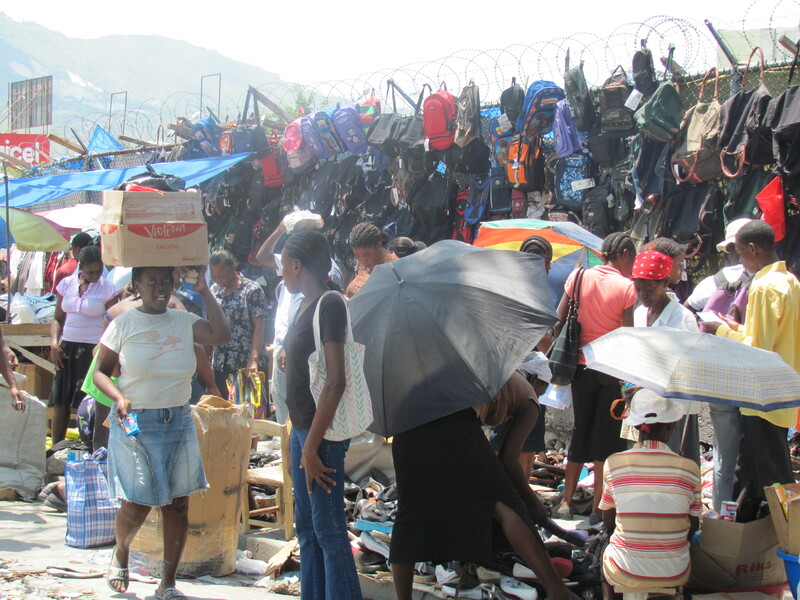 This is a typical clean up scene in Port-au Prince. 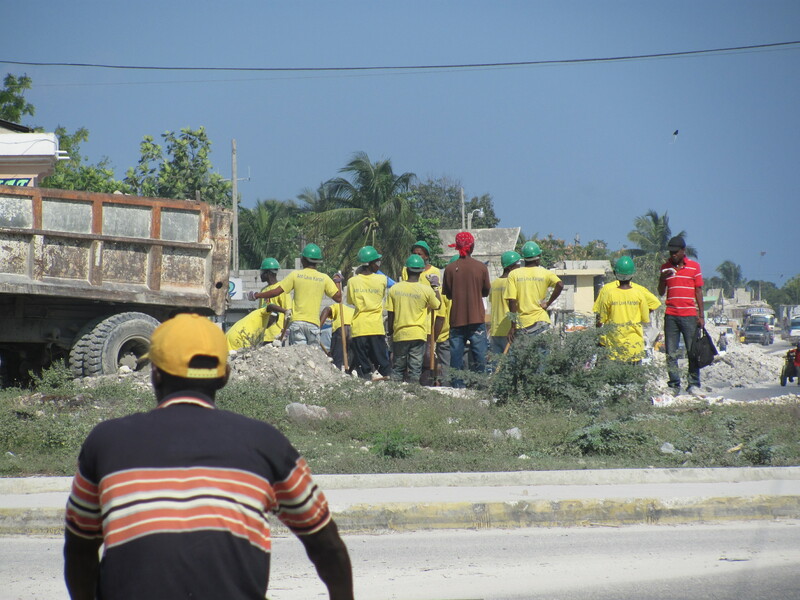 Neighborhood residents form a konbit (work gang) to remove debris by hand or with shovels into a pickup truck. 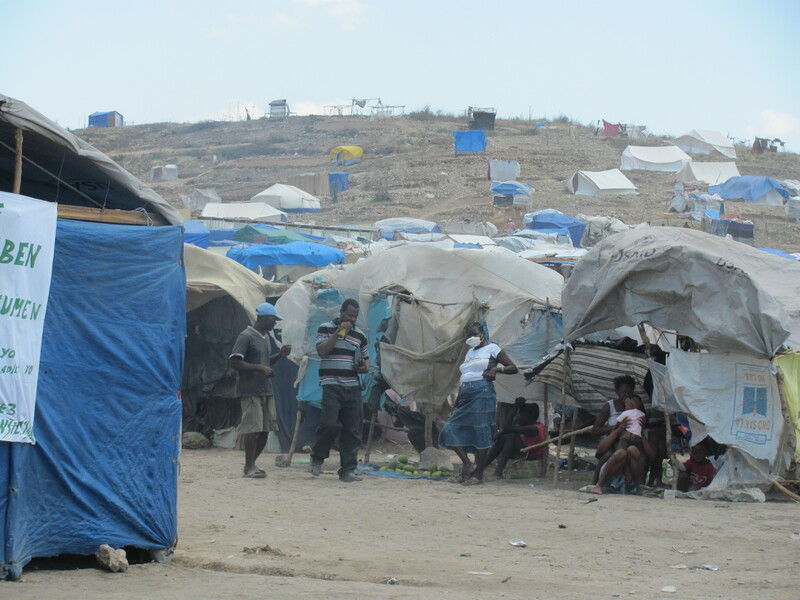 Cité Soleil, Port-au-Prince’s notorious slum, had been largely a collection of tin shacks and cinderblock houses before the quake. Now, it’s expanded perilously into the swamp lands along the Caribbean, where residents live in tents. Yet there are still signs of hope. 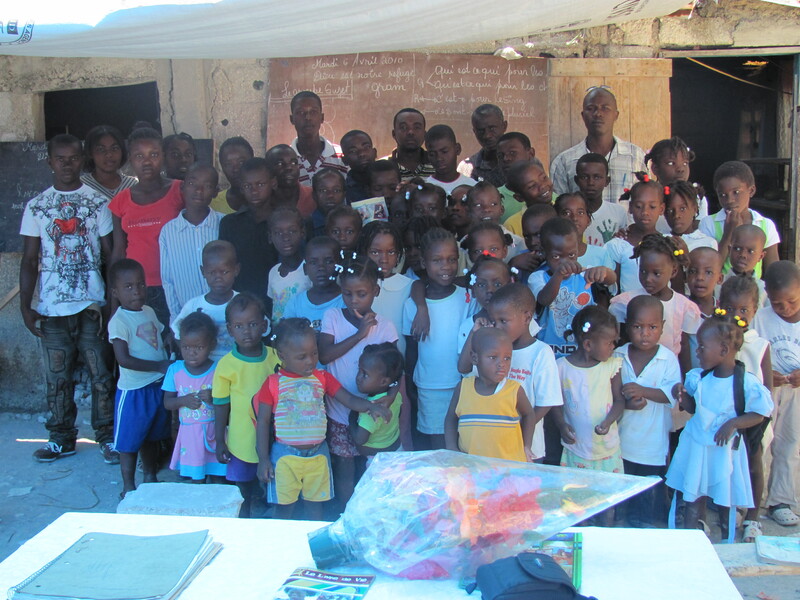 These children are all orphans from the Carrefour suburb of Port-au-Prince. Leon-fils and some of his friends have gathered them together into a damaged house, where they have organized an improvised school. 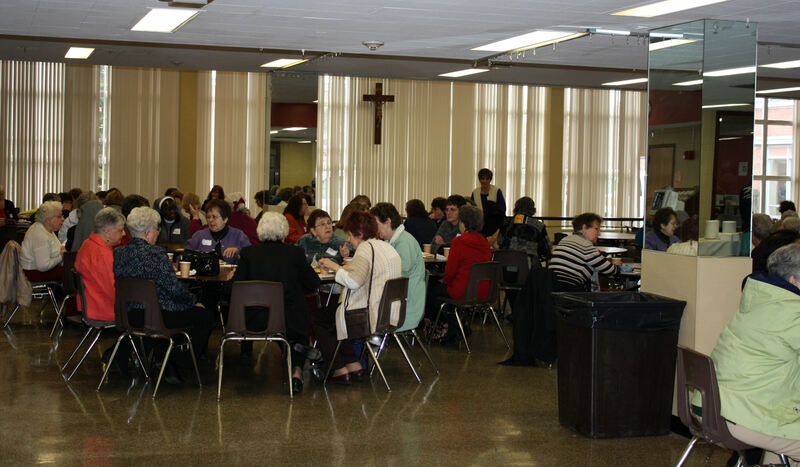 Recently, St. Mary’s Parish in Westfield has hosted community meals with a special theme. It had a Phillipine Night this winter. 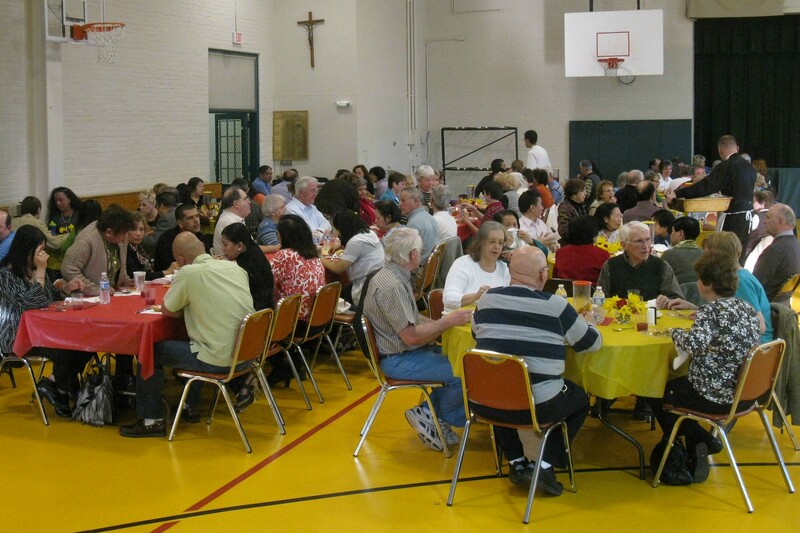 On March 20, the parish sponsored a Spanish meal in honor of St. Francis Xavier. Father Longe shares some highlights of the night. 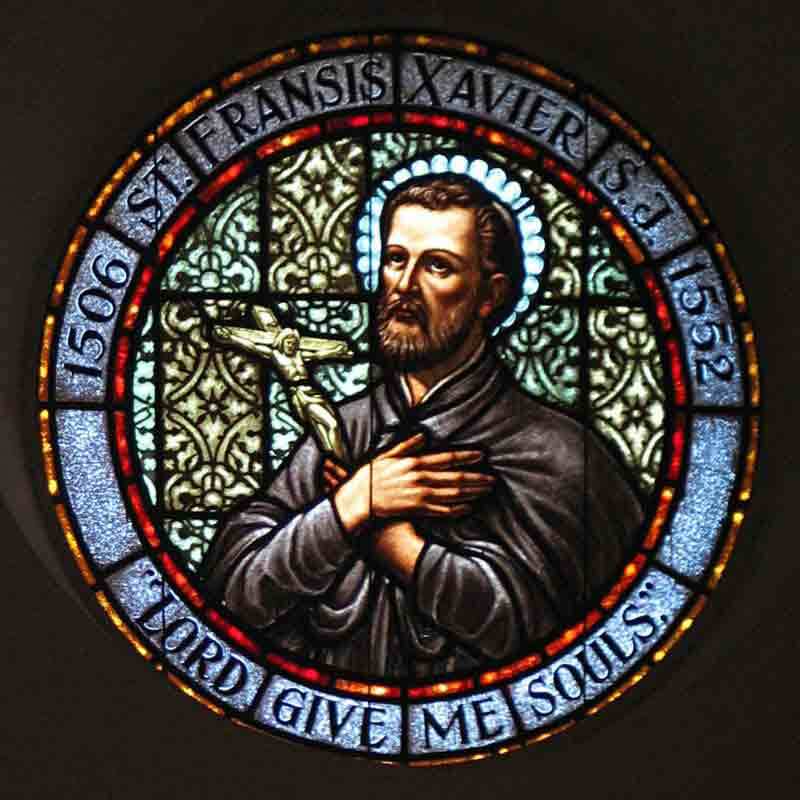 The Parish of Saint Mary in Westfield hosted a delightful St. Francis Xavier Novena Meal within the gymnasium of St. Mary’s High School on Bartlett Street. Our community meal (of paella, sangria, churros, and the like) intentionally highlighted the Spanish origin of this stellar Jesuit Saint who was the focus of our Parish’s annual Novena of Grace. 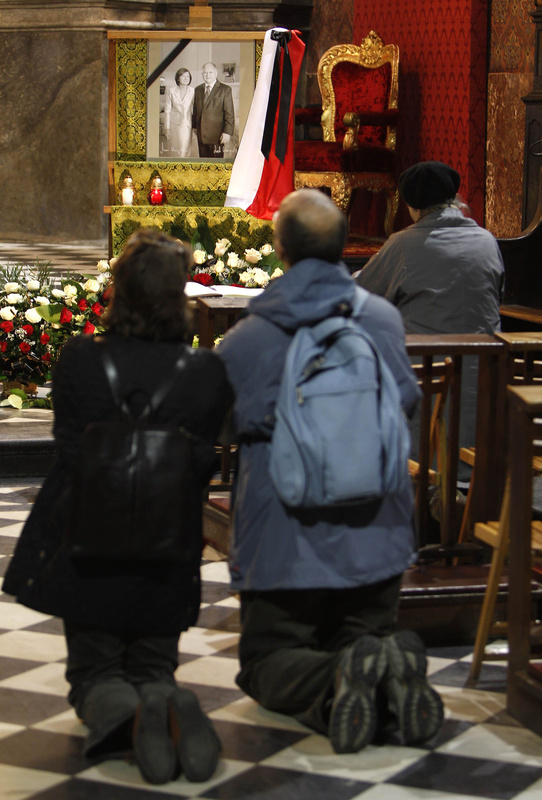 Preparation and execution was made a little difficult because of lack of adequate space during such a busy time within our Liturgical Year, yet all worked out fine: Praise the Lord! As a spiritual family, similar to physical families, we humbly adapt and support one another without complaint for the benefit of all: Praise God! Roughly 50 percent of our evening’s volunteers are non-parishioners and former immigrants, which filled all with gratitude and hope – Amen! 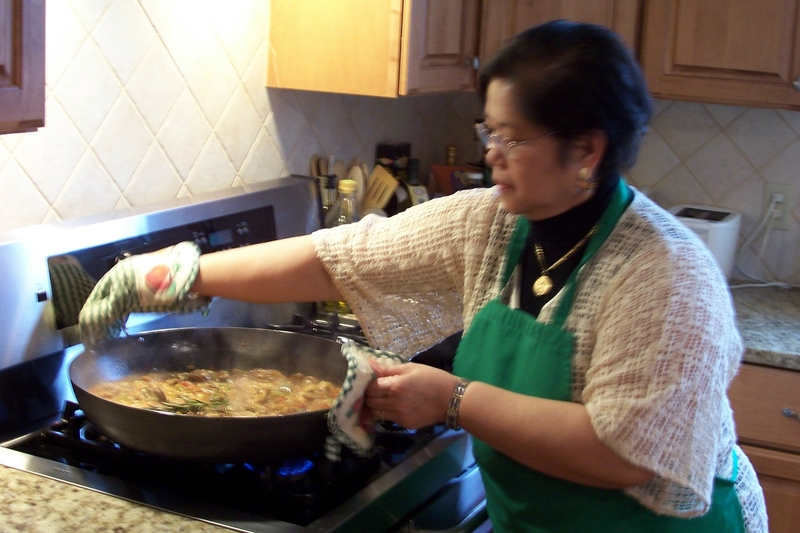 In the photograph below we find Mrs. Glorina Angco beginning food preparation at home. With 98 tickets sold in advance, and many more purchased at the door, every volunteer was required to make personal sacrifices in order to ensure no guest arrived disappointed or left hungry. Consequently, when the crowds arrived . . . . we were ready! 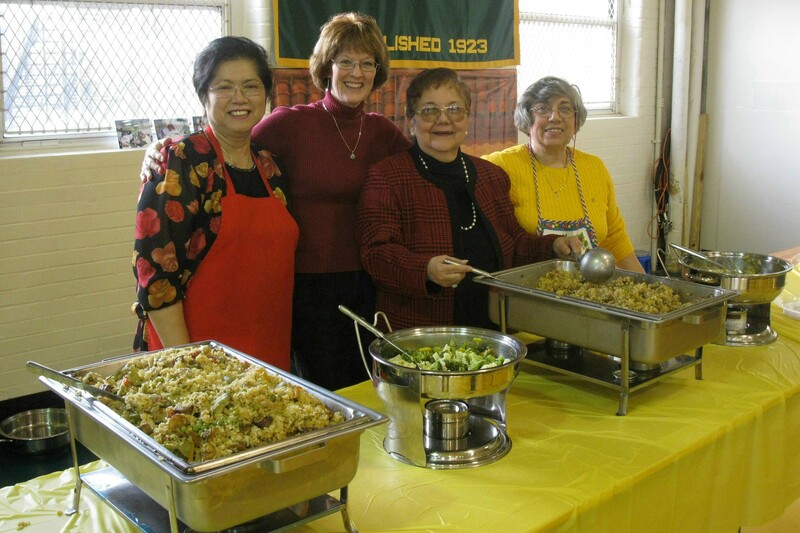 The next phot shows the smiling souls of Glorina Angco, Beth Murphy, Edith Angco, and Lena Ala as they prepare to lovingly serve our home-made cuisine to grateful guests. As the entrée arrived, our guests were finishing their fresh fruit salad and smoked ham, lentil and saffron soup. 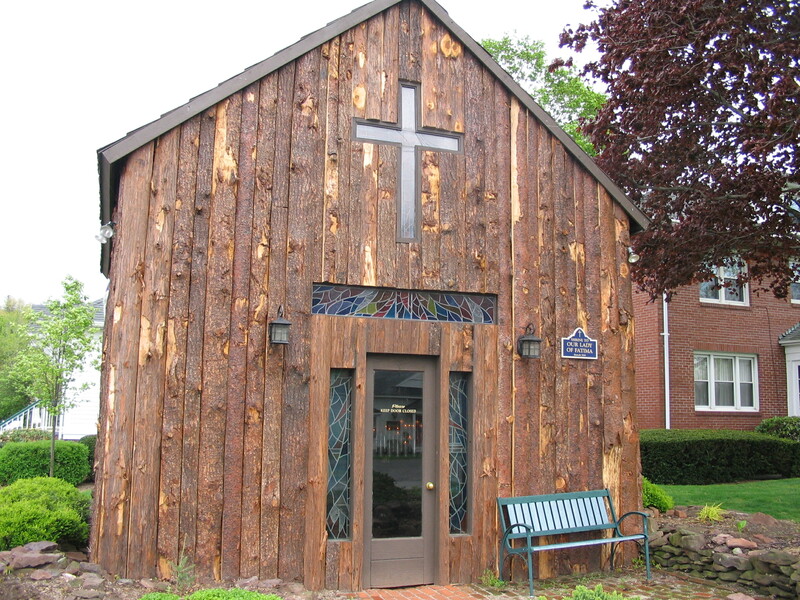 Knowing that for Christians “spring” is more of an internal reality than an external phenomenon, the Parish of Saint Mary in Westfield is grateful for what has been accomplished by Our Lord and by one another, and heartily looks forward to our next meal within May (the month of Mary!). Will you please join us? Call St. Mary’s at 562-5477 for more information. Here’s another troubling update from Haitian-American Marc-Donald Leon-fils, who is now in his hometown of Savanne à Roches, Haiti. I spoke with Leon-fils by phone on April 2. He told me that a riot broke out on March 22 when local officials held a food distribution in the town. Savanne à Roches is normally a sleeping place spread out along the banks of the Artibonite River Valley in central Haiti. While census figures are very unreliable, it is believe that there were perhaps 80,000 inhabitants in the town and surrounding villages before the earthquake. 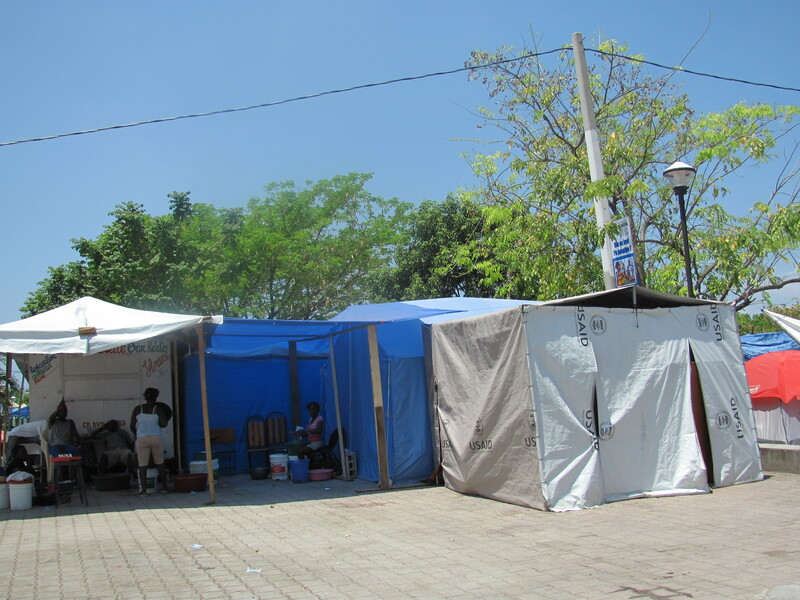 Today, Savanne à Roches’ population may have doubled with an influx of quake survivors. “The local people call them refugees, but they don’t like that, since they say they have simply moved within their own country,” Leon-fils said. Whatever they should be called, the fugees (the Creole term for refugee popularized by hip hop artist Wyclef Jean) were involved in a melee reminiscent of African refugee camps on th e 22nd of March. The mayor and city council of Savanne à Roches, which normally has only a handful of local police officers and rarely has the presence of federal law enforcement, asked local members of Parliament to bring food from Port-au-Prince. The original idea was to distribute ration cards to earthquake victims, and distribute the food at several sites in the region. But things went wrong from the start. “They didn’t card for the cards like they did in Port-au-Prince of Petite Rivière. But there was a lot of bias in handing out the cards. Some friends of the officials got more than they needed, and some who needed food got none. And somewhere along the line, they decided to bring everything just to Savanne à Roches” Leon-fils reported. When a truck loaded with food finally arrive in Savanne à Roches, it was greeted by angry people from surrounding towns. “They formed a konbit to get what they wanted,” Leon-fils said. 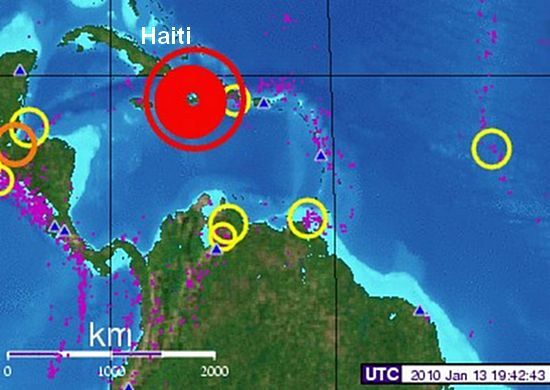 Konbit is a Creole term many Americans heard on CNN during their January news coverage in Port-au-Prince. Then, it referred to the spontaneous work crews who dug out earthquake victims from rubble in their neighborhoods. No one was seriously injured during the food riot, but the supplies were not fairly distributed to those who needed them most. Angry townspeople then attacked the home of the city councilor in charge of the distribution operation, Leon-fils told me. 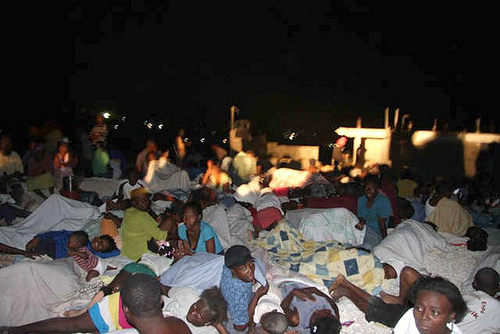 The incident in Savanne à Roches is troubling to those who know Haiti. The town was a hotbed of political unrest in 1991, when former President Jean Bertrand Aristide was deposed in a coup d’etat; and again in 1994, when the military regime was deposed with the help of U.S. armed forces. But similar unrest which occurred elsewhere in central and northern Haiti in 2003 when Aristide again left office bypassed Savanne à Roches. When I visited the town a few years ago, few people were in a revolutionary mood, despite their poverty and lack of jobs. 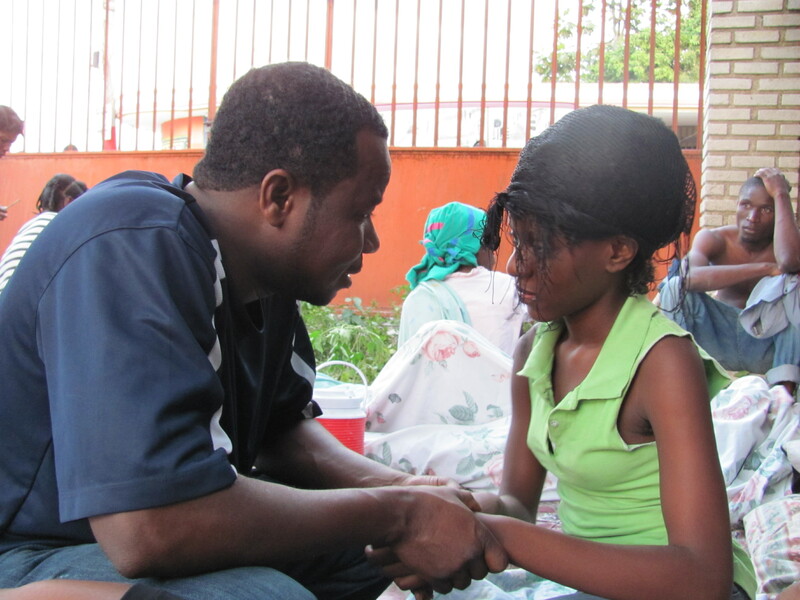 Savanne à Roches is also now suffering from another Haitian problem: fear. The Jan 12 earthquake that flattened most of Port-au-Prince was not felt at all there, although an aftershock a few days later shock the town, and collapsed a few flimsy walls made of cried mud. “Everyone’s still sleeping outside. There are rumors that another big one is on the way,” Leon-fils told me. Yet all is not gloom and doom in Savanne à Roches. 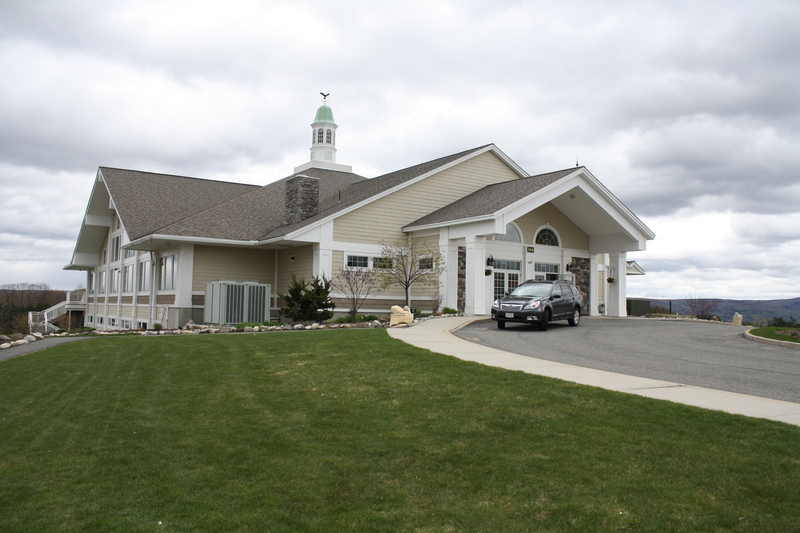 Parishioners of St. Louis-de-France Mission Church held a Holy Thursday servis April 1, complete with scripture readings, lay preaching, distribution of communion and washing of feet. Servis is the Creole term for a Sunday Celebration in the Absence of a Priest. 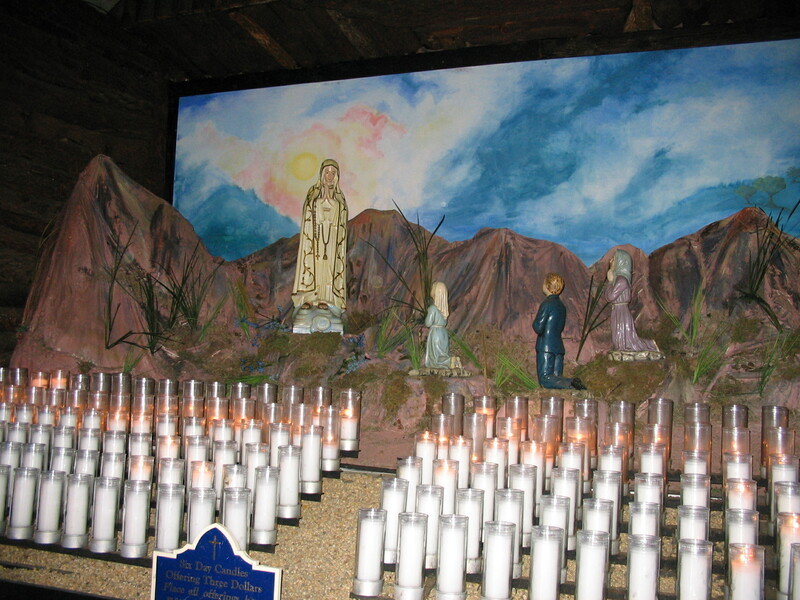 As one of several missions of the Petite Rivière de l’Artibonite Parish, St. Louis usually celebrates the liturgy without a priest. St. Louis-de-France parishioners have scheduled a procession and service for Good Friday morning. On Saturday, they will celebrate the Easter Vigil.